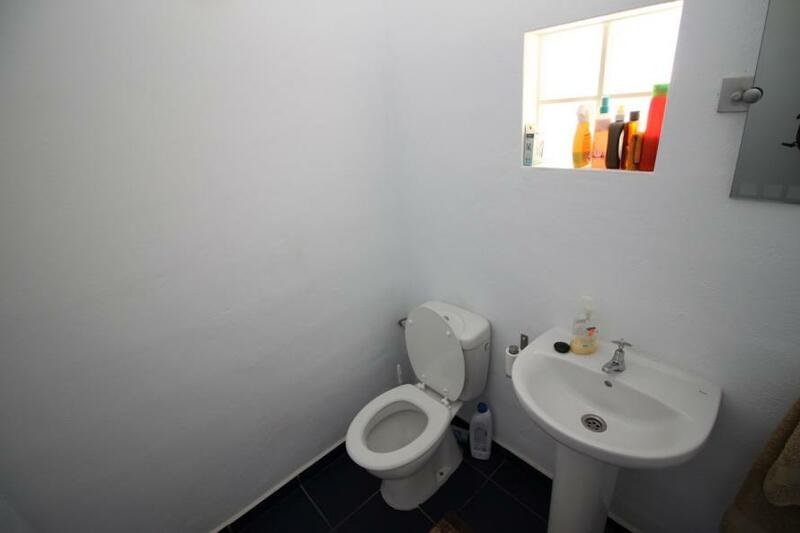 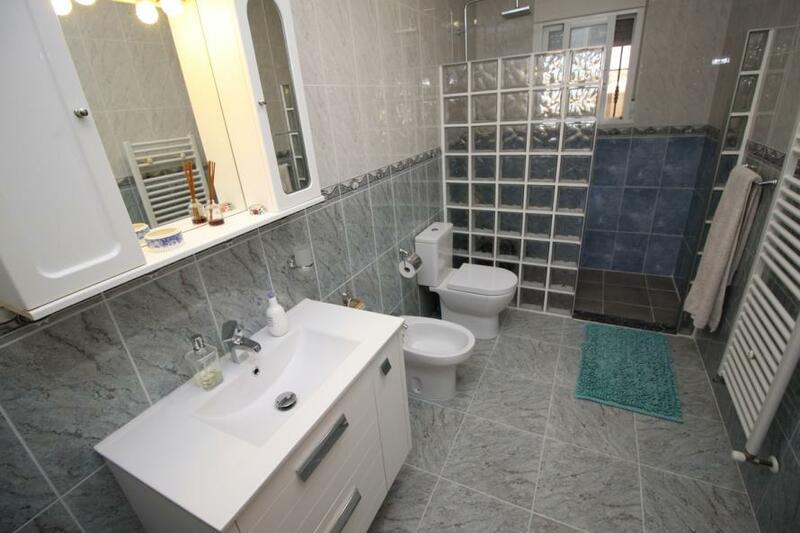 One of the best properties we’ve seen. 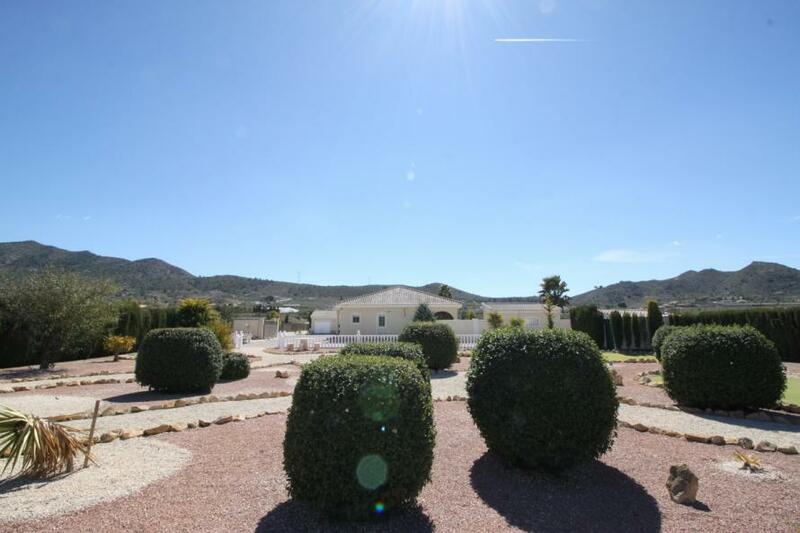 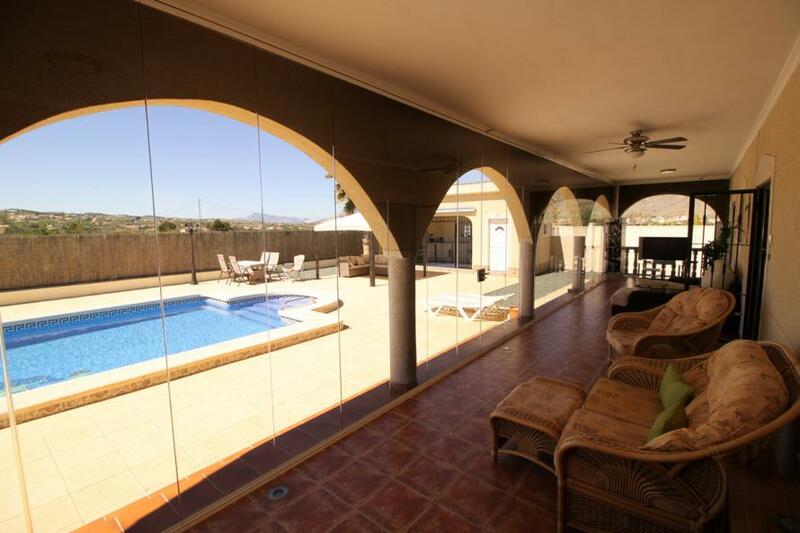 The curved arches and sweeping views make this a retreat for the senses with large private pool area, outdoor living with fruit trees mountain views and walking distance to several restaurants. 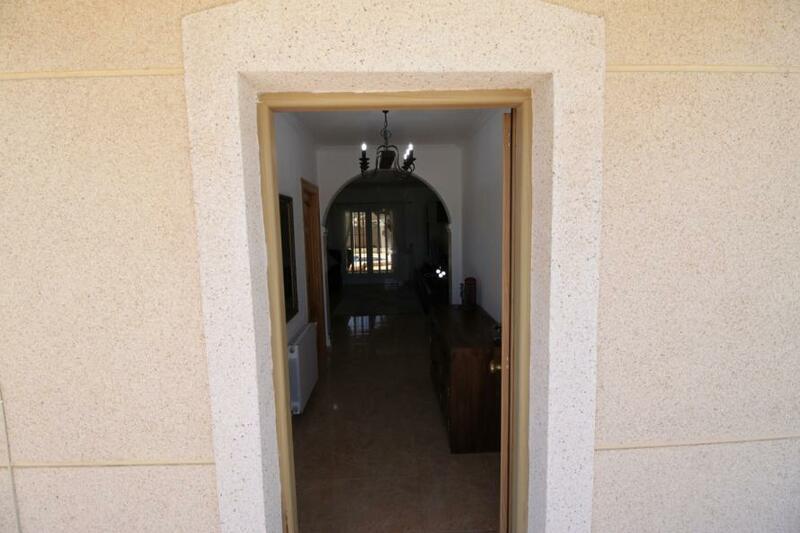 Your auto gates slide to reveal a wide expanse of driveway towards the villa and garage and manicured chip and putt golf area to the right. 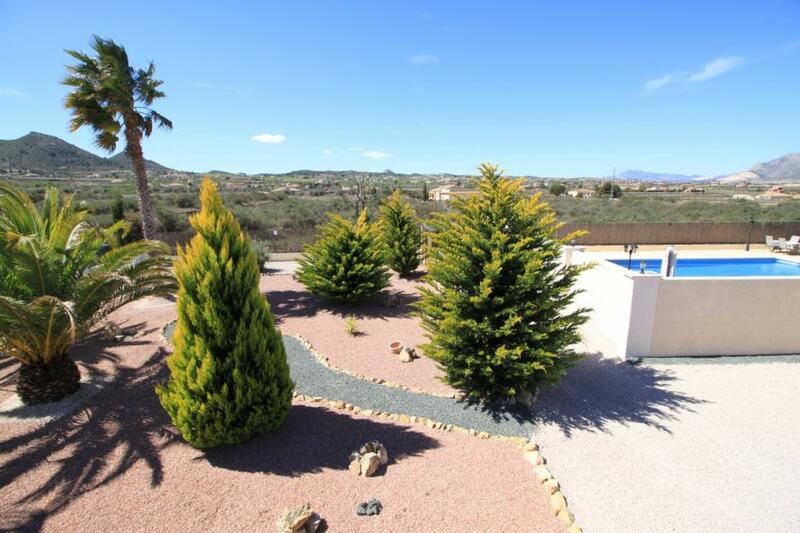 The focal point of the house is the pool area, fully fitted summer kitchen and long glazed terrace forming a courtyard completely private with the lush hedging revealing only glimpses of mountains, the town and grape vines. 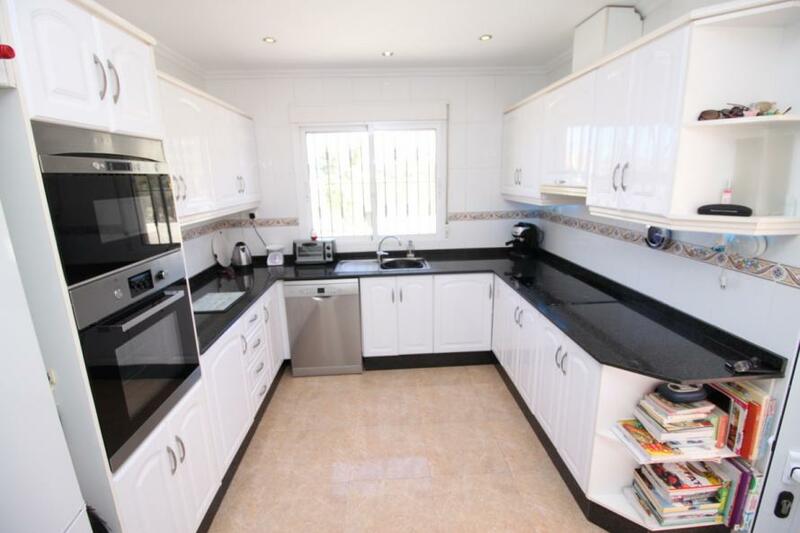 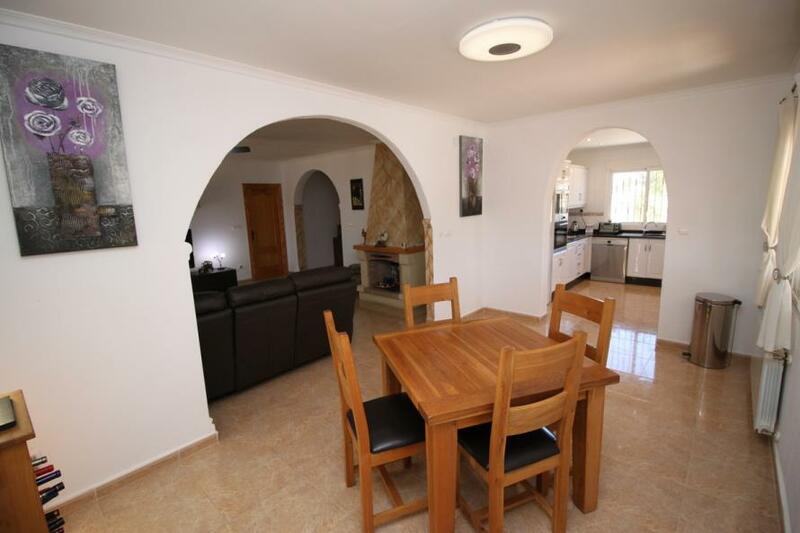 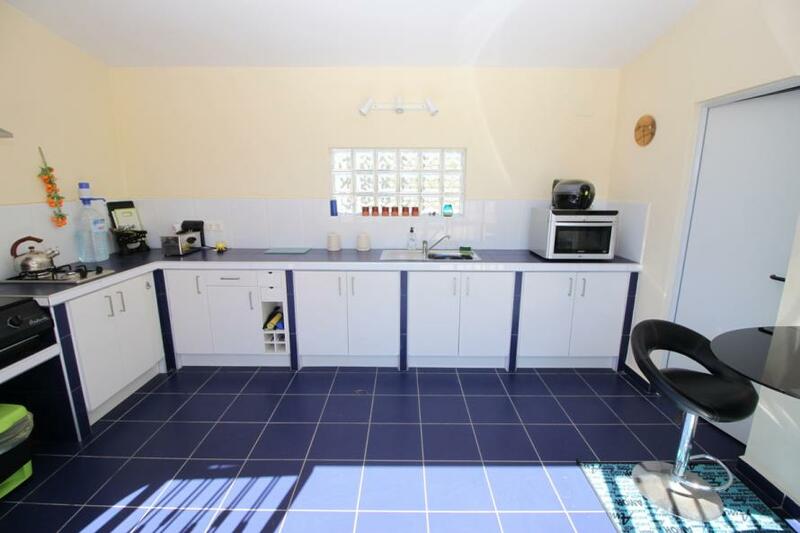 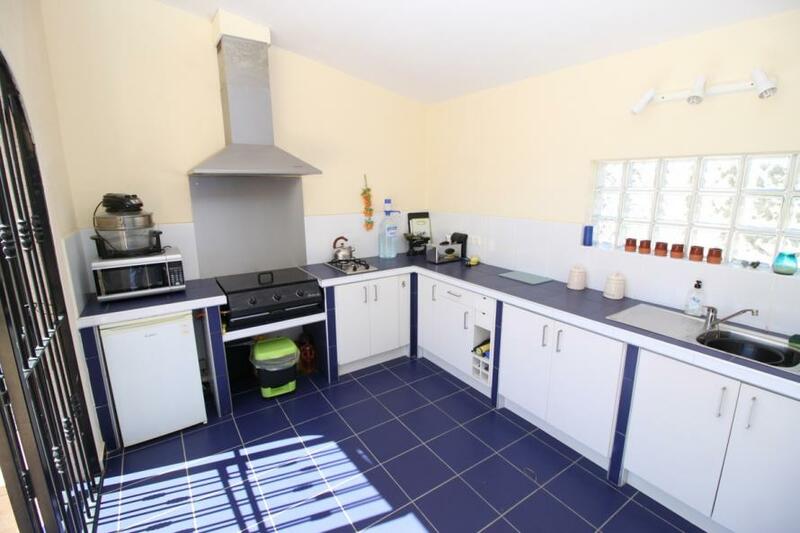 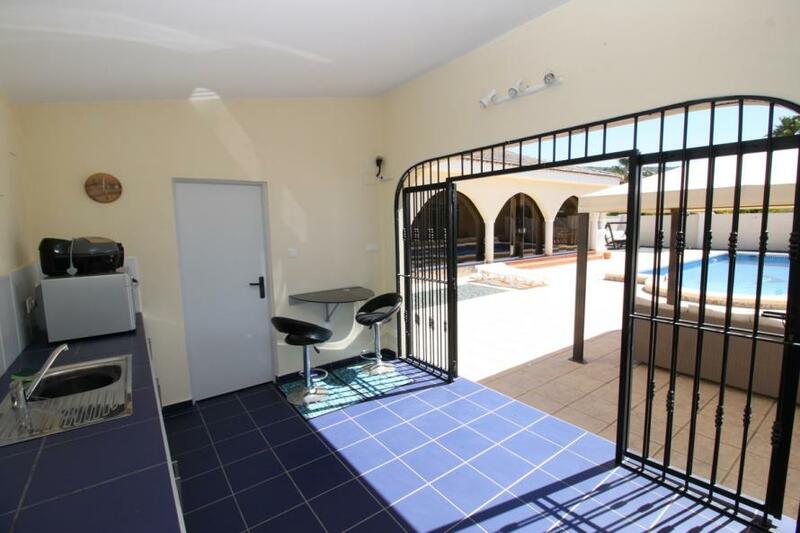 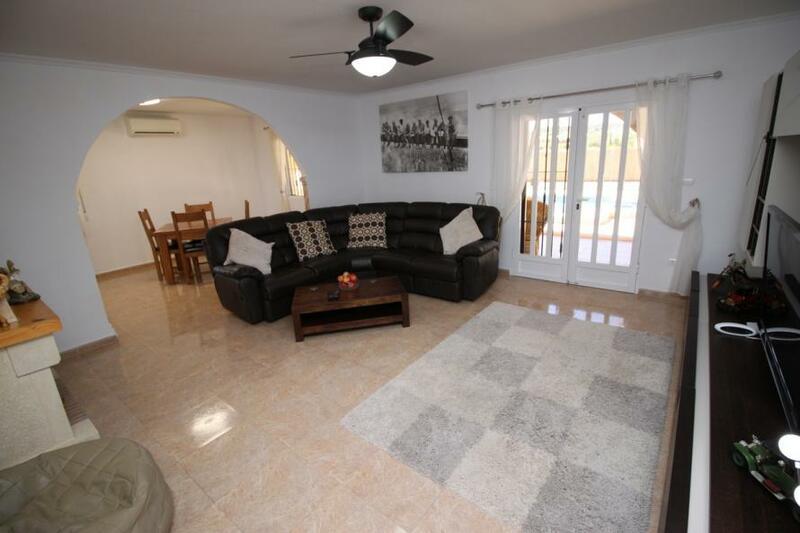 In side the villa has a modern and bright kitchen with utility room. 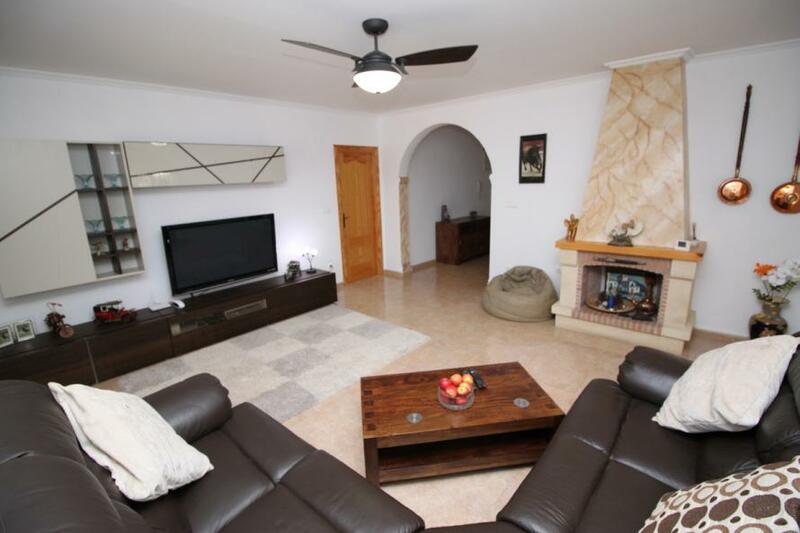 The living room is open plan with the dining room making a large indoor living space with AC and a log burner. 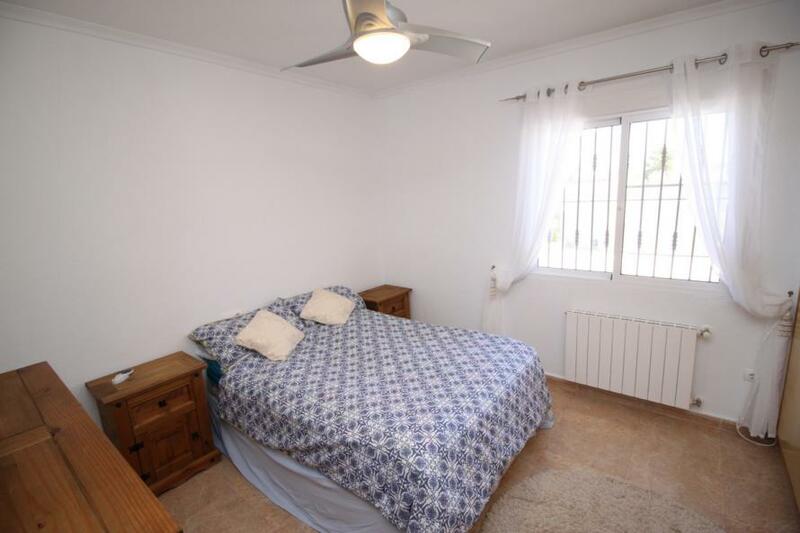 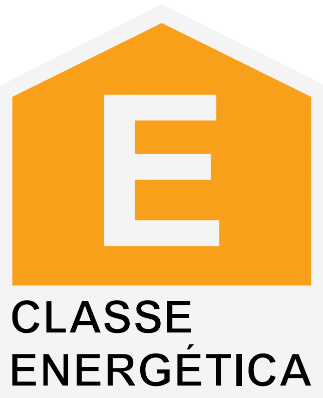 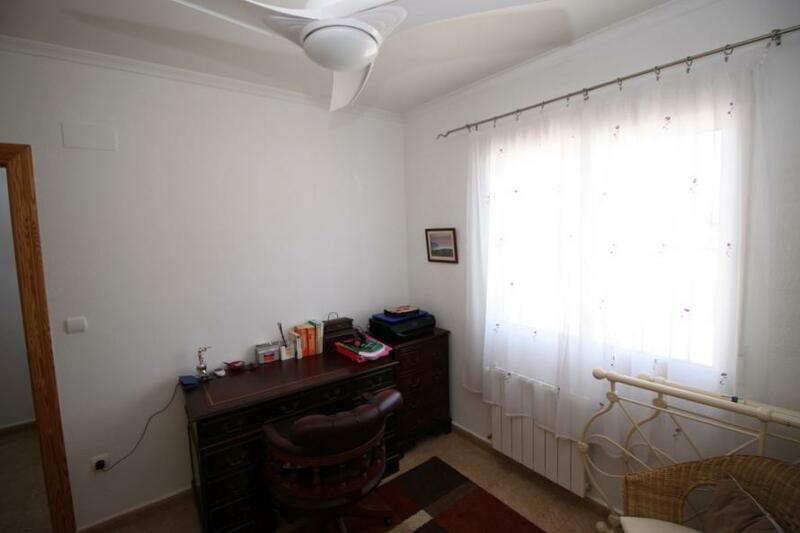 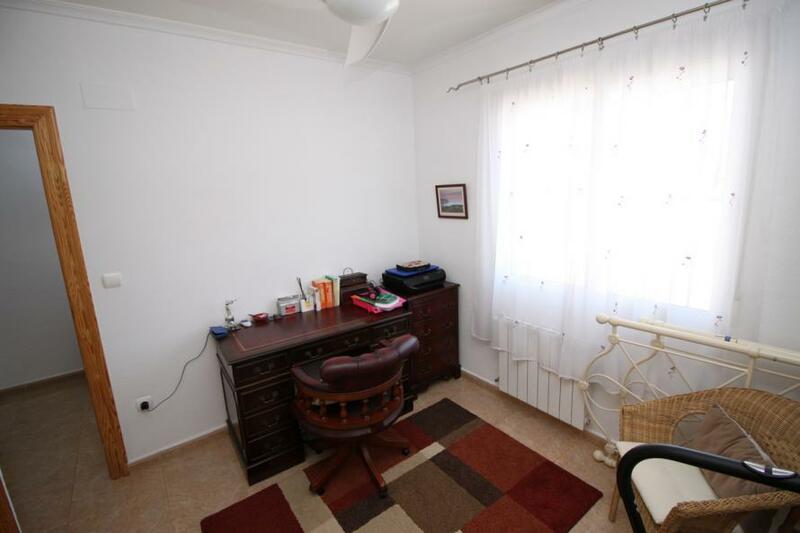 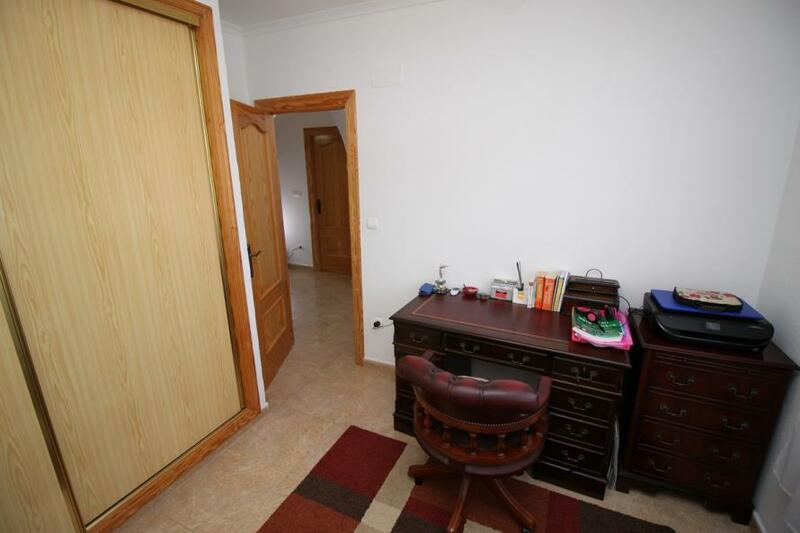 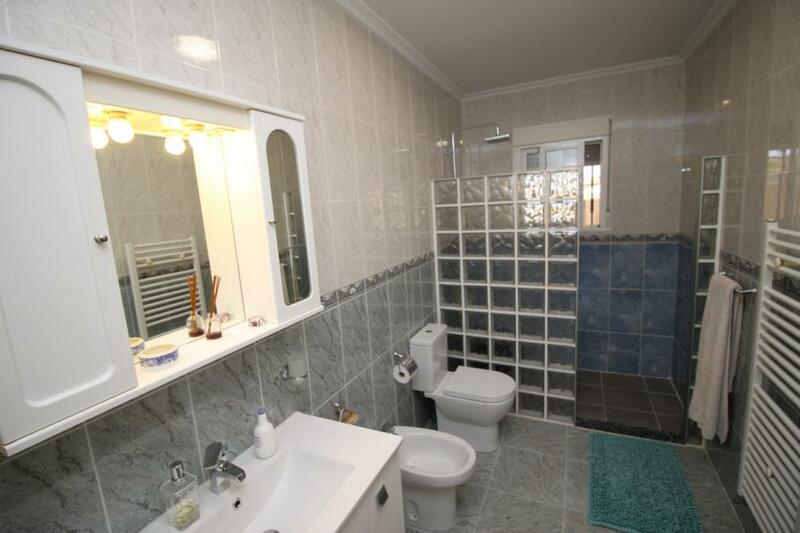 Central heating is throughout as well as ceiling fans. 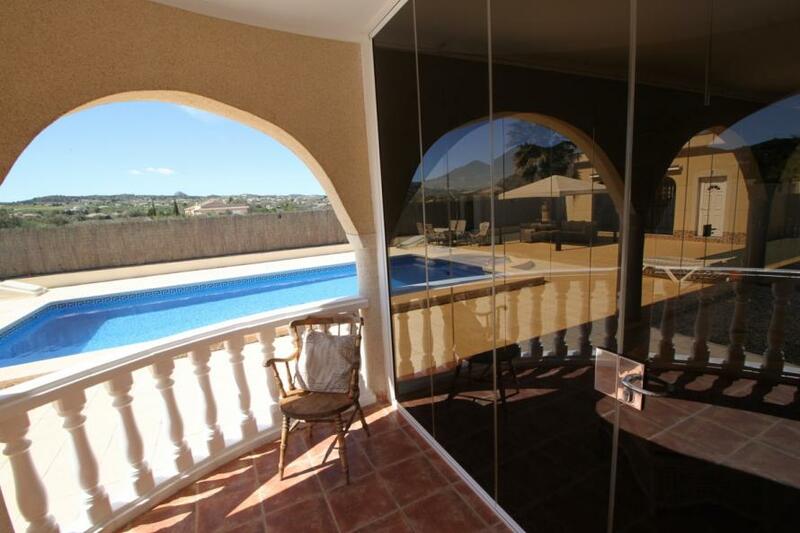 The Master Suite comprises a large ensuite and direct access to the terrace and pool views. 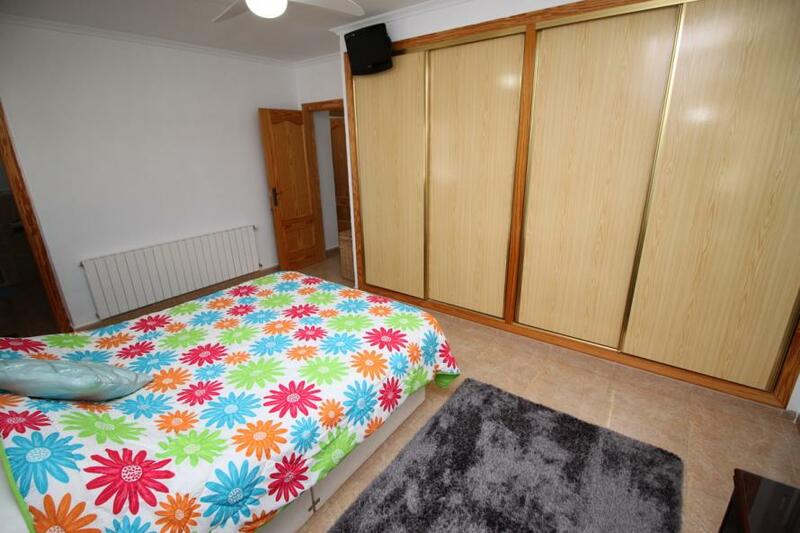 The second and third bedrooms are doubles with built in wardrobes. 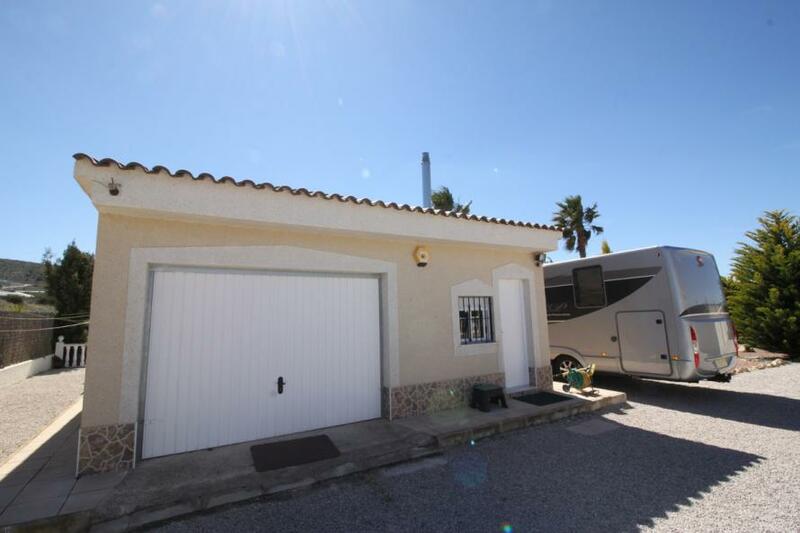 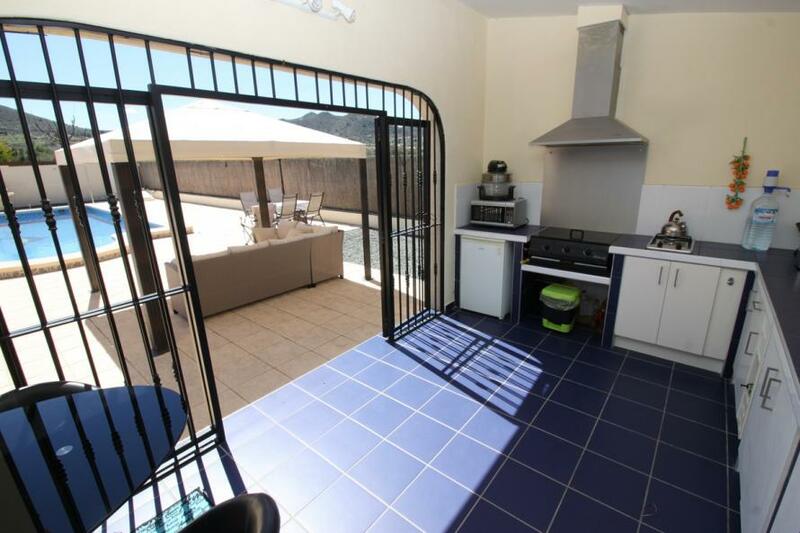 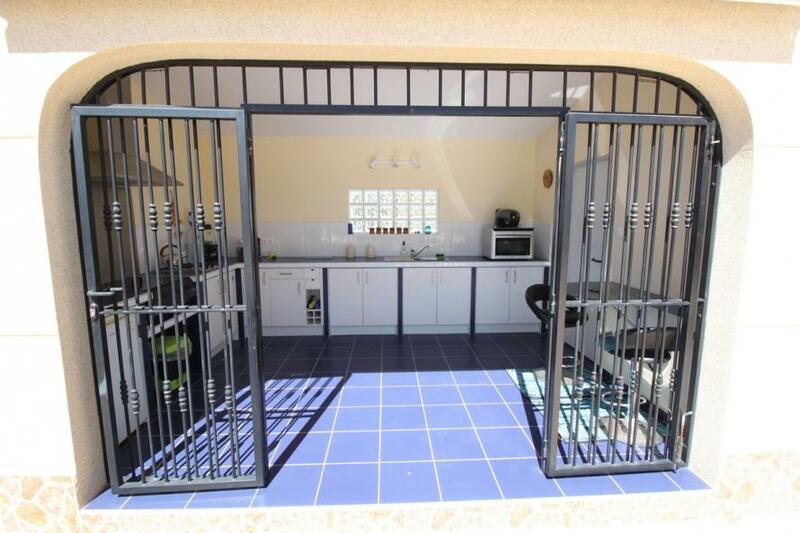 The garage has an adjacent room / gym and the summer kitchen also has toilet and store room. 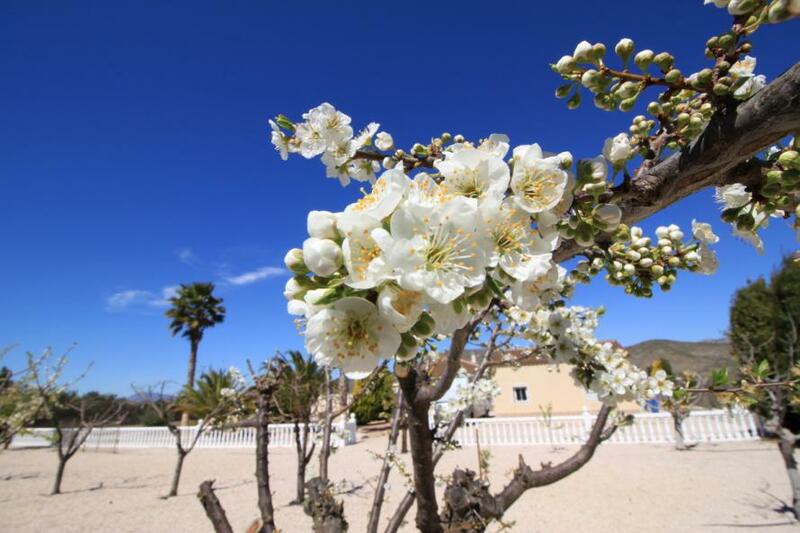 There is a small orchard with several varieties of fruits and the entire garden is maintained to a very high standard. 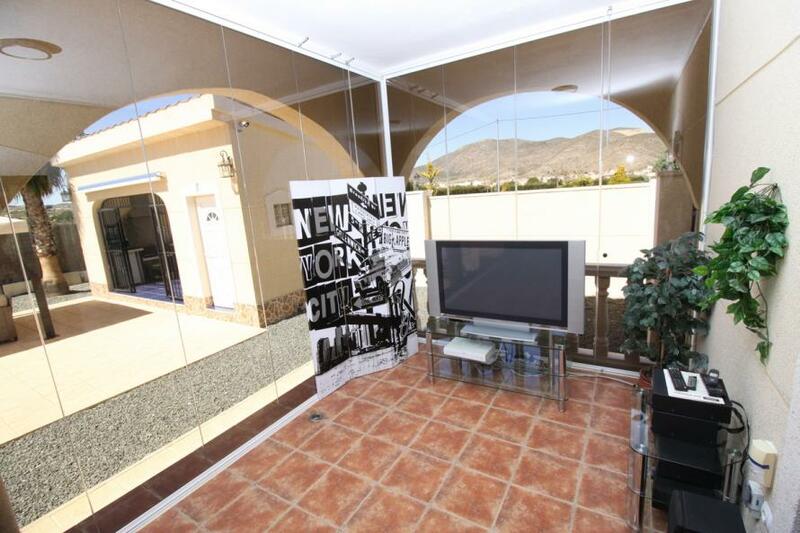 Hondon Frailes has several bars and restaurants, ranging from Italian, Indian, Spanish tapas bars and al fresco dining. 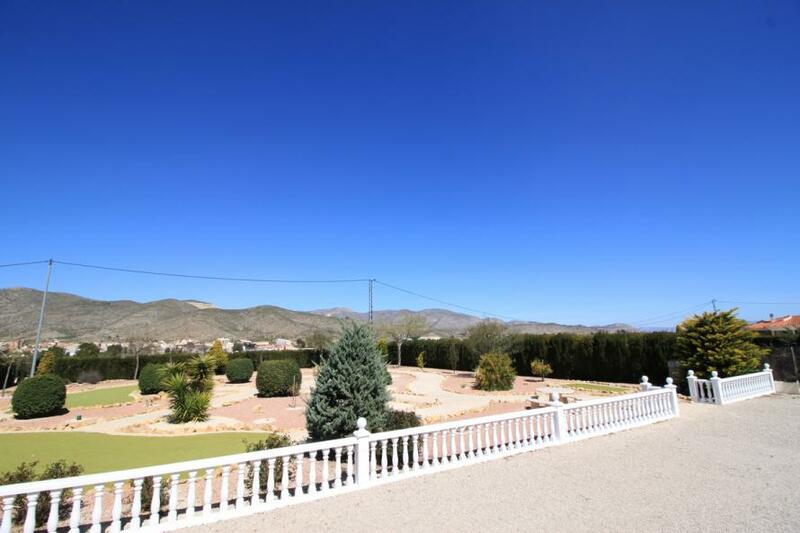 There are bakeries, banks, hairdressers, a small indoor market and a hotel as well as a garden centre and parks. 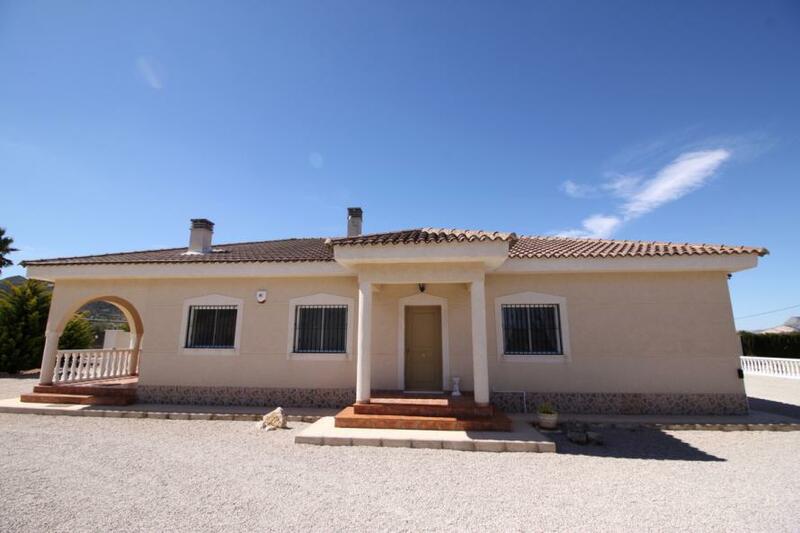 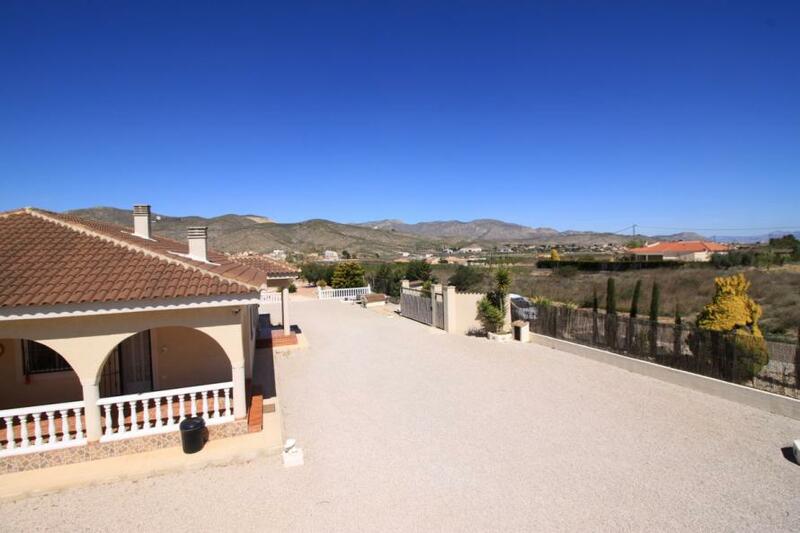 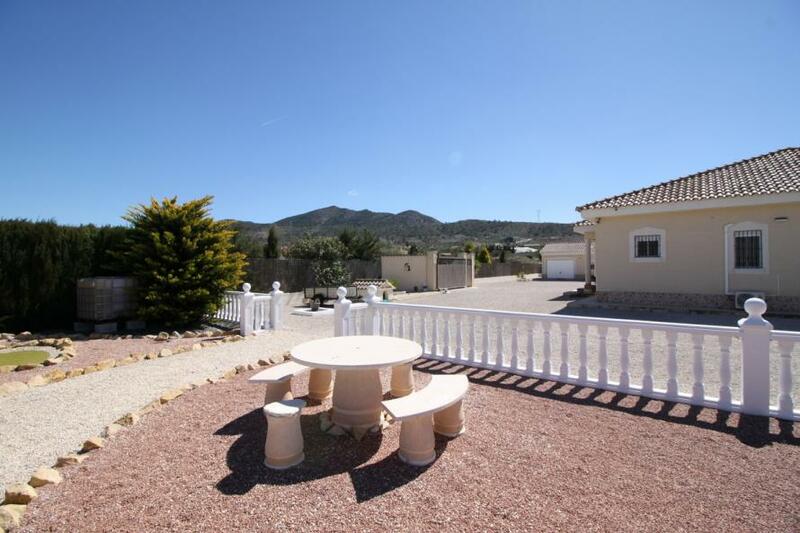 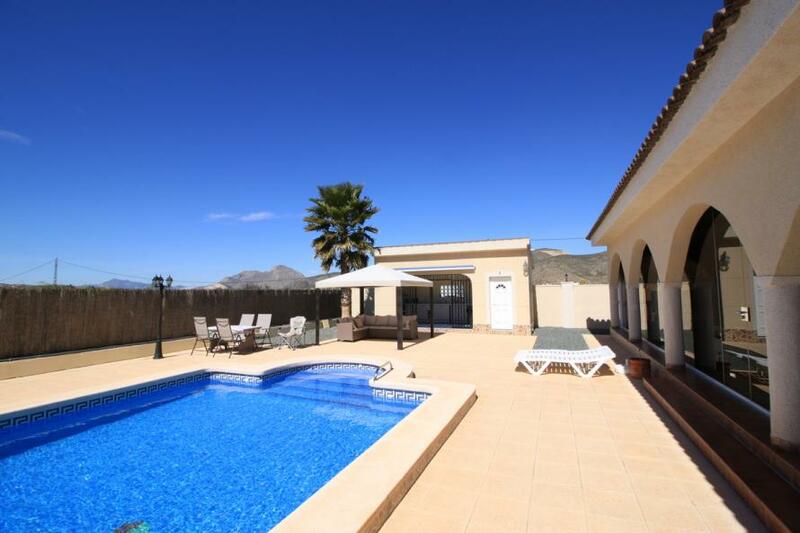 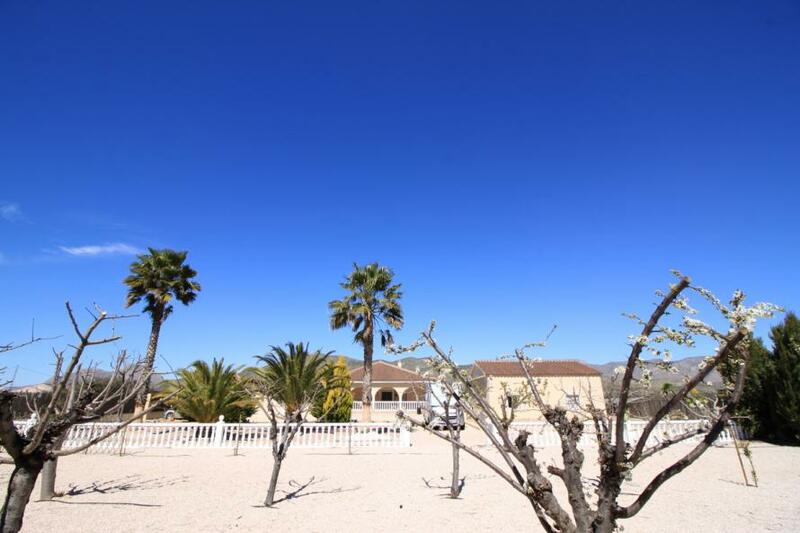 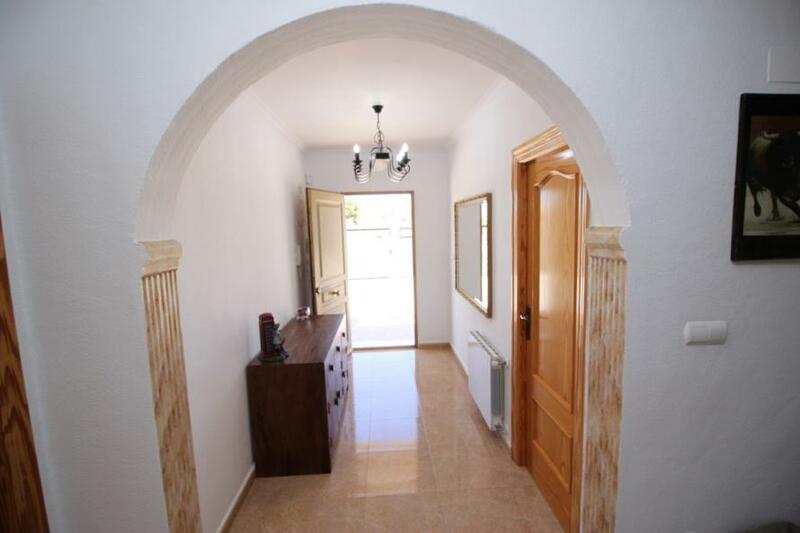 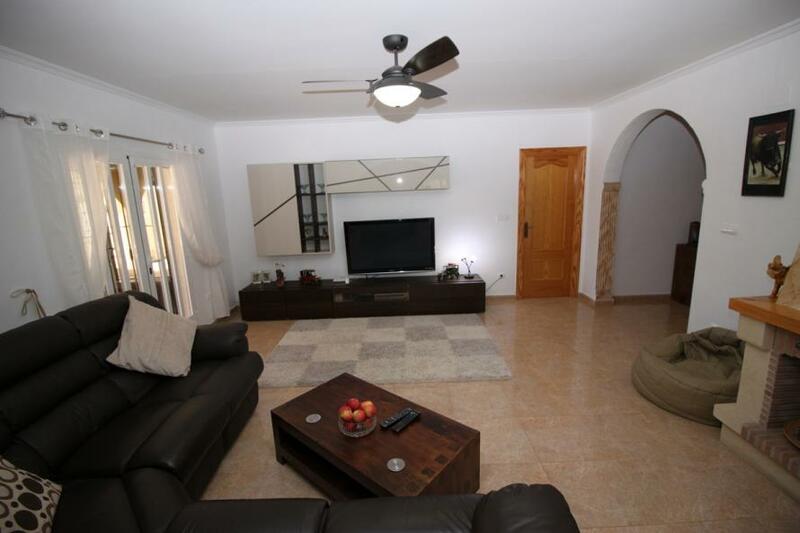 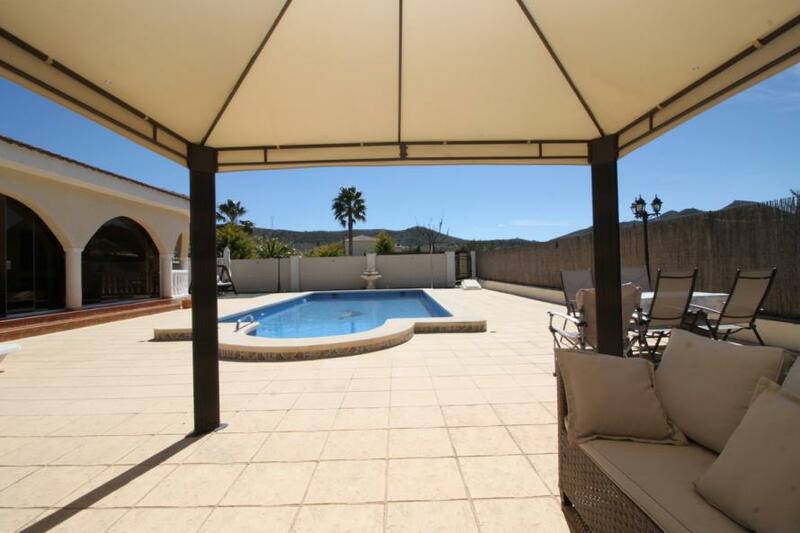 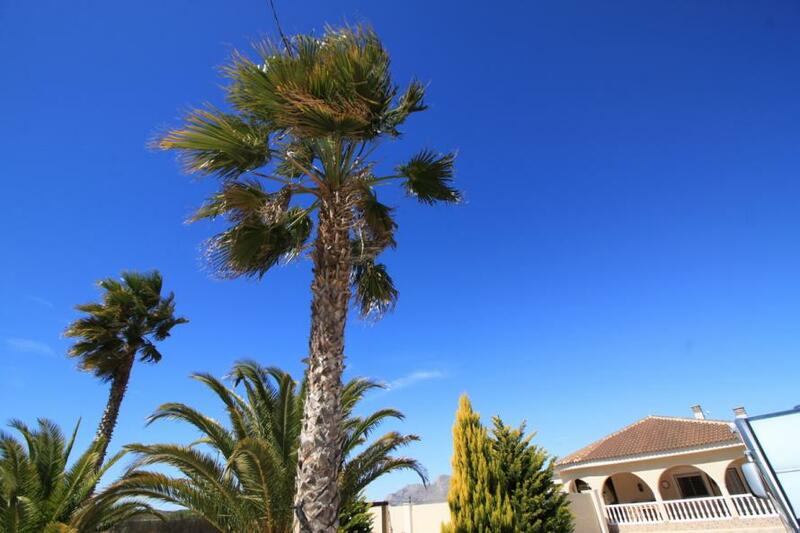 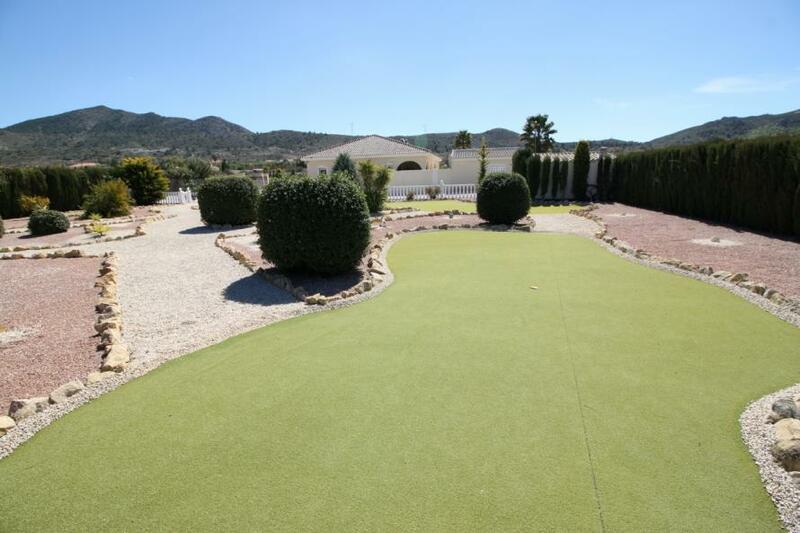 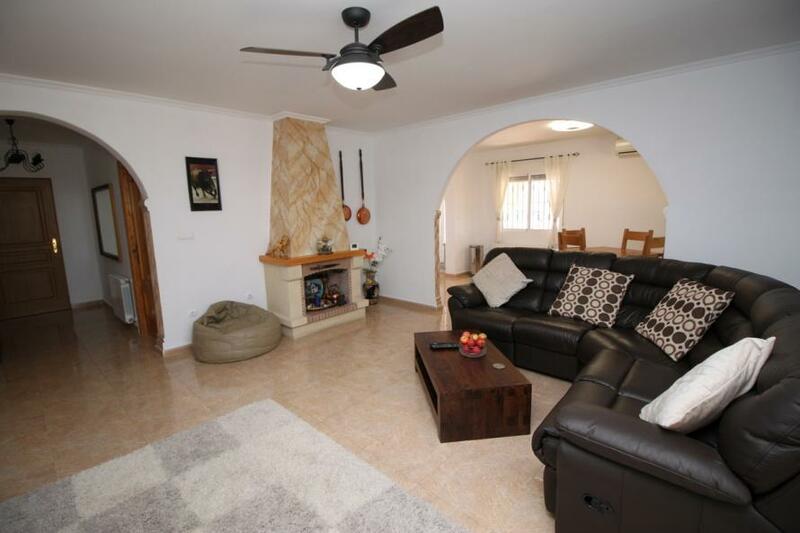 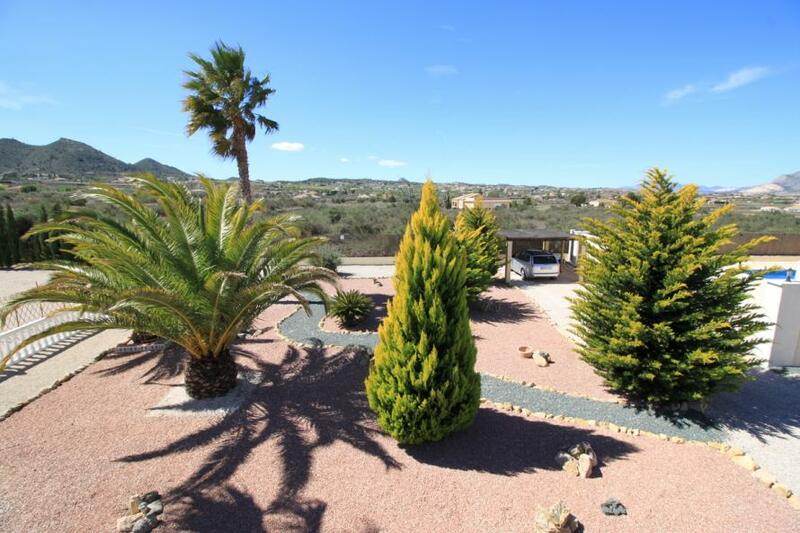 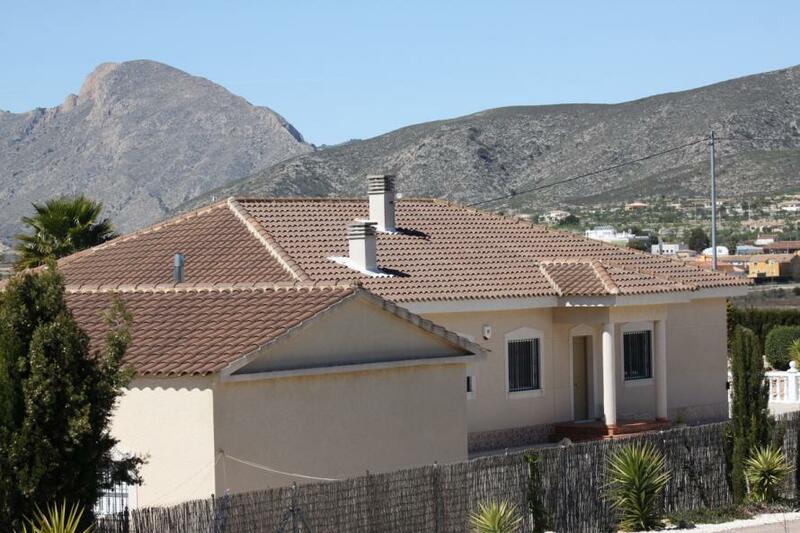 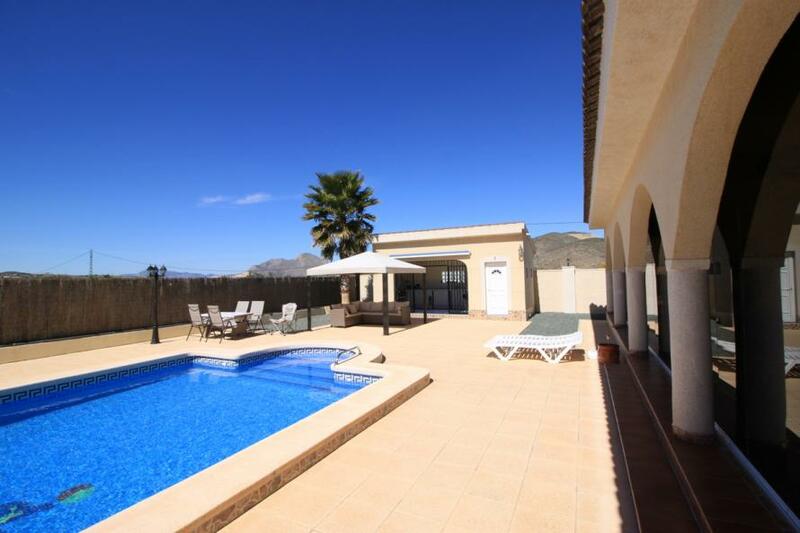 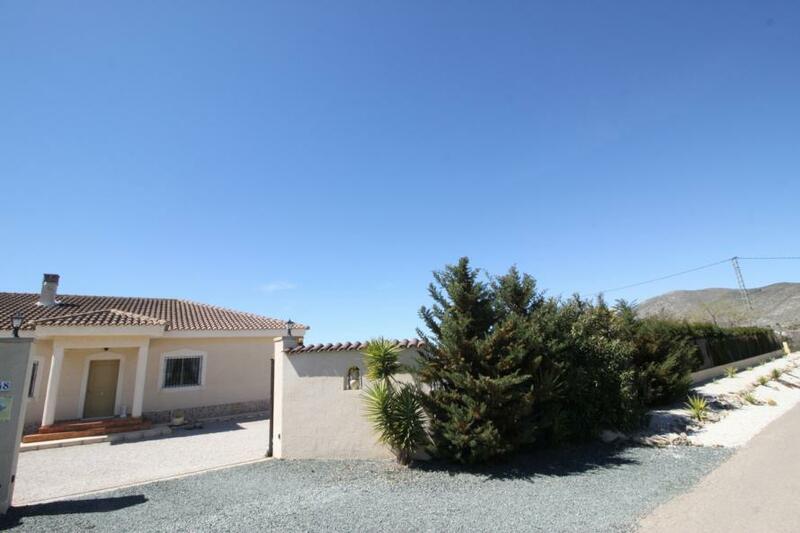 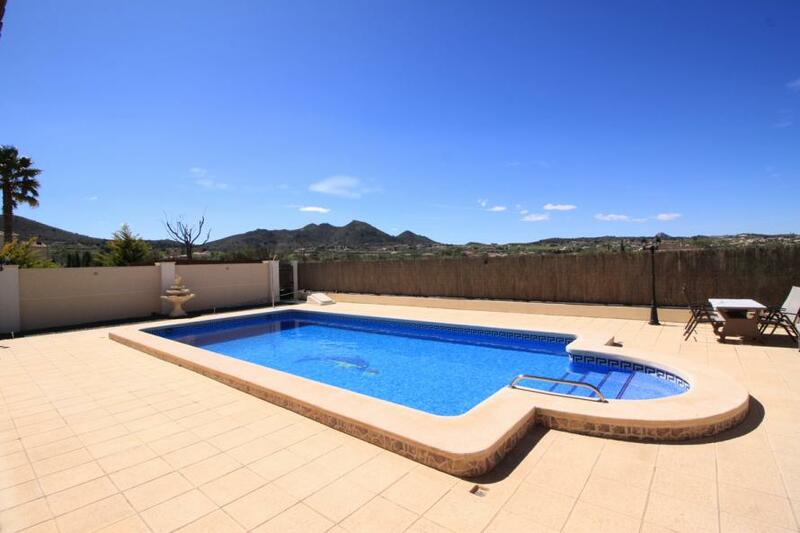 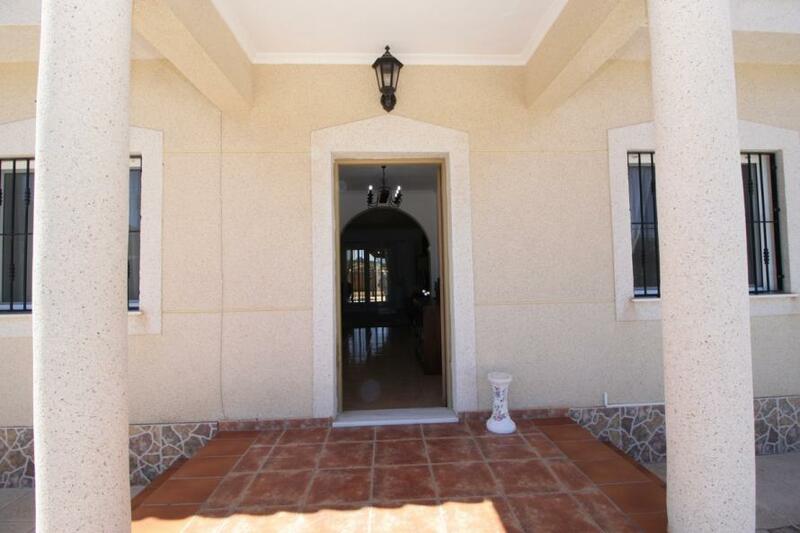 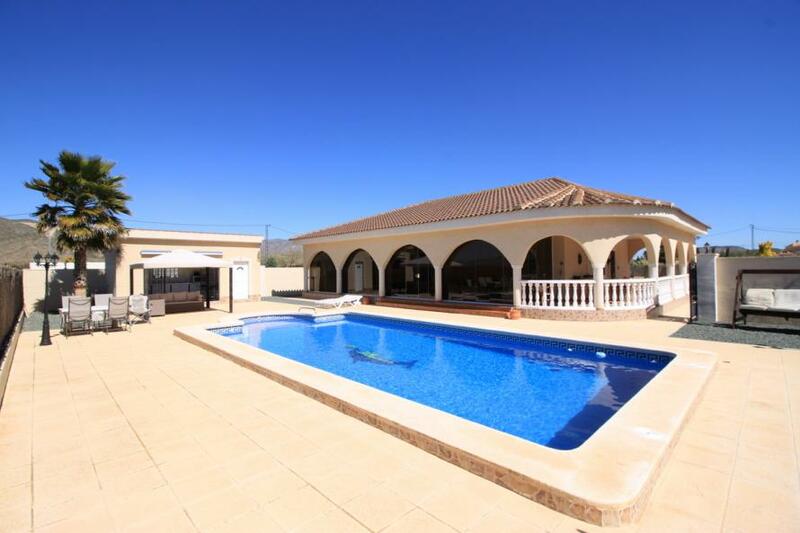 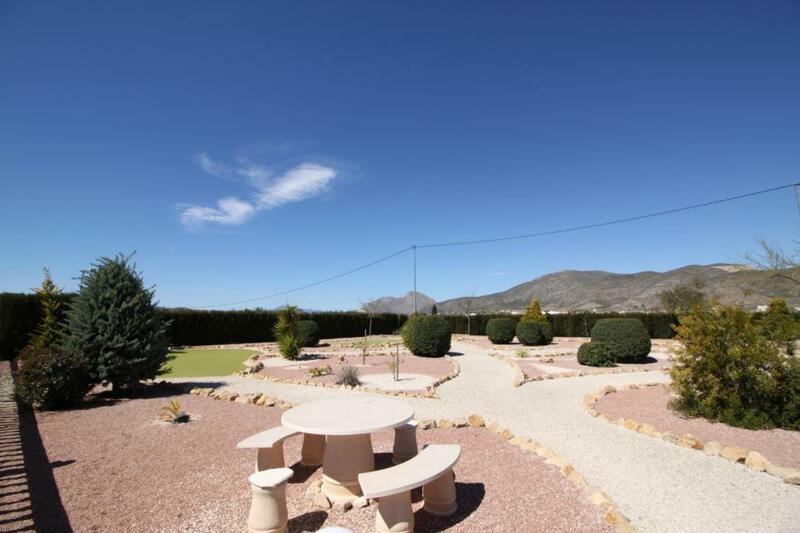 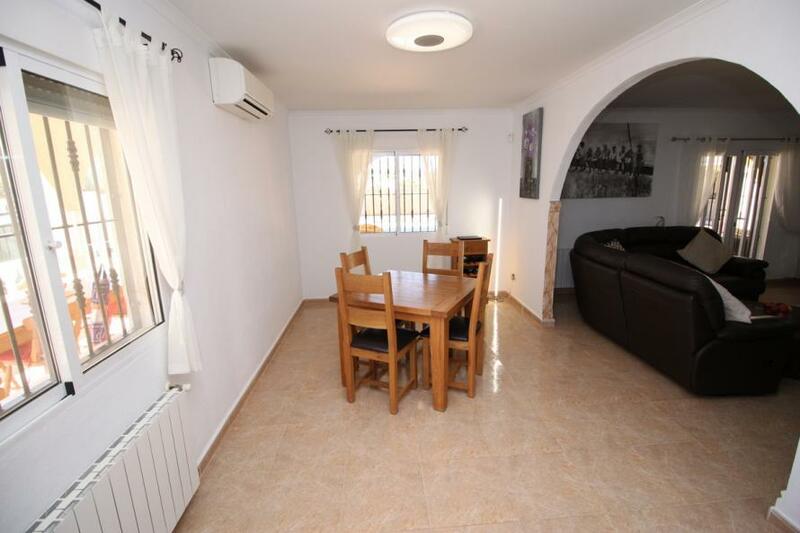 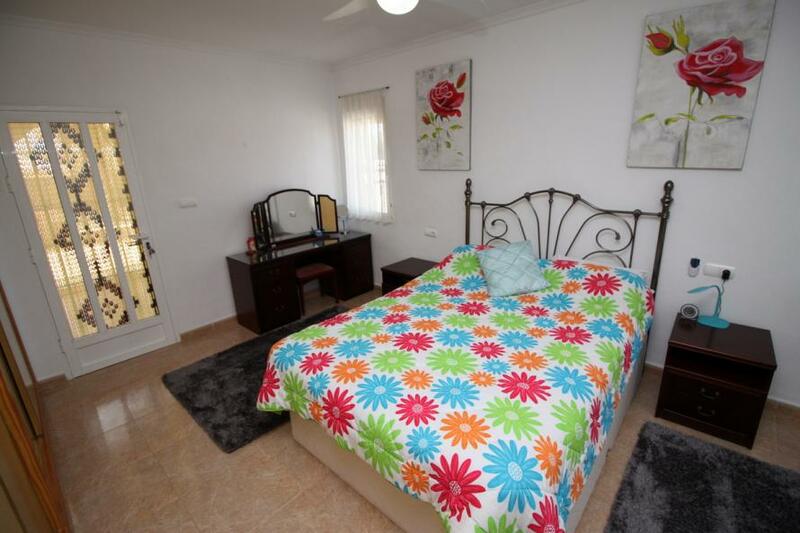 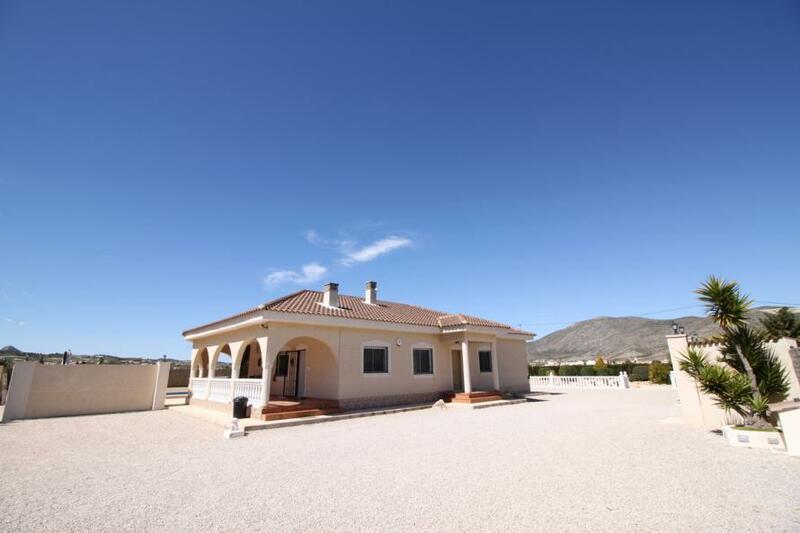 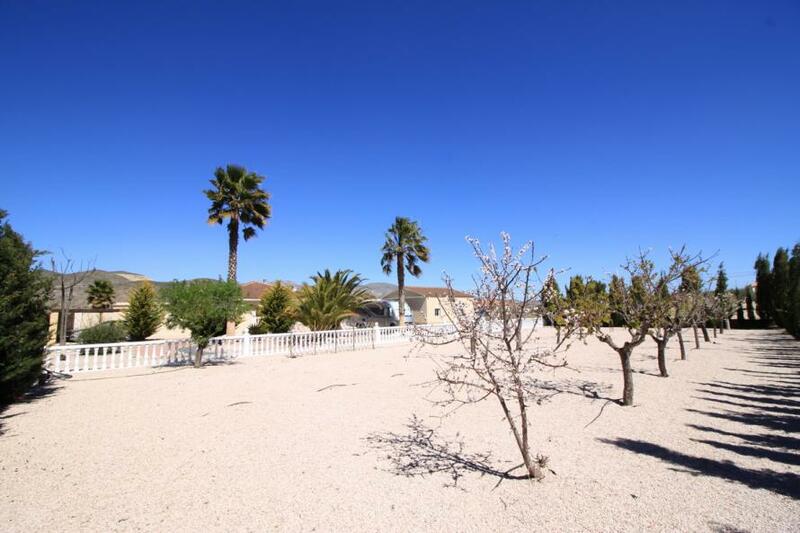 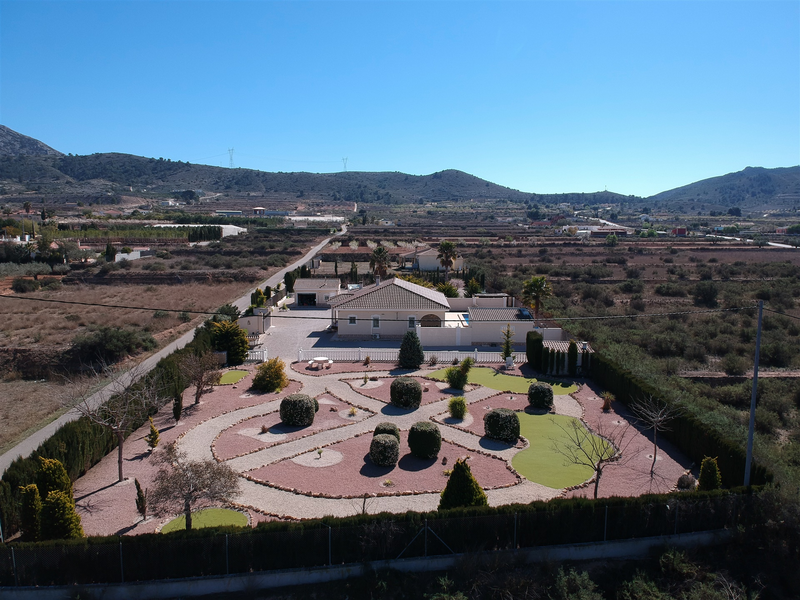 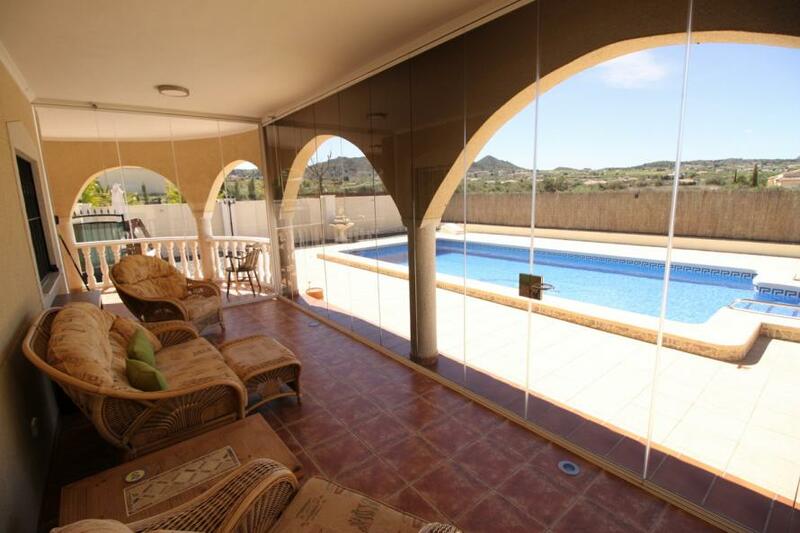 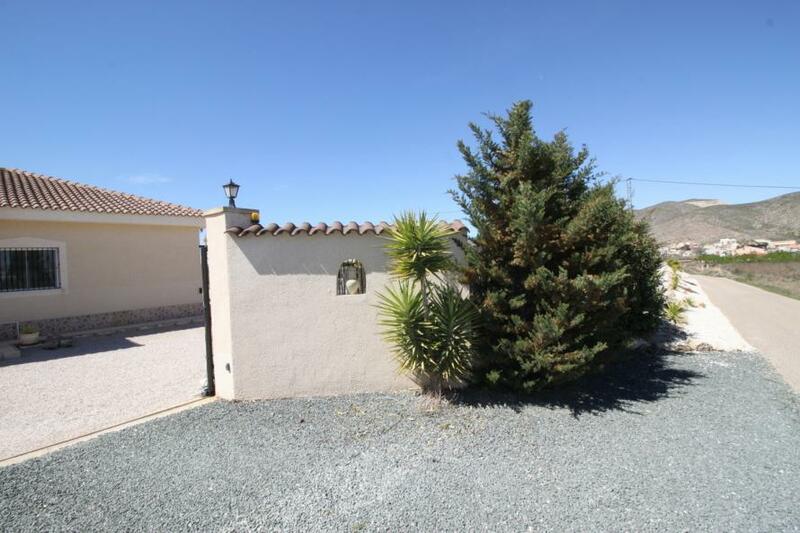 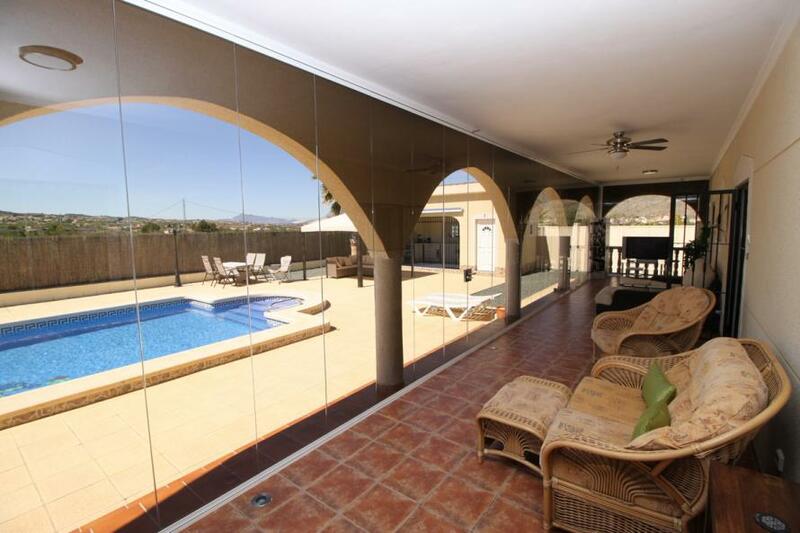 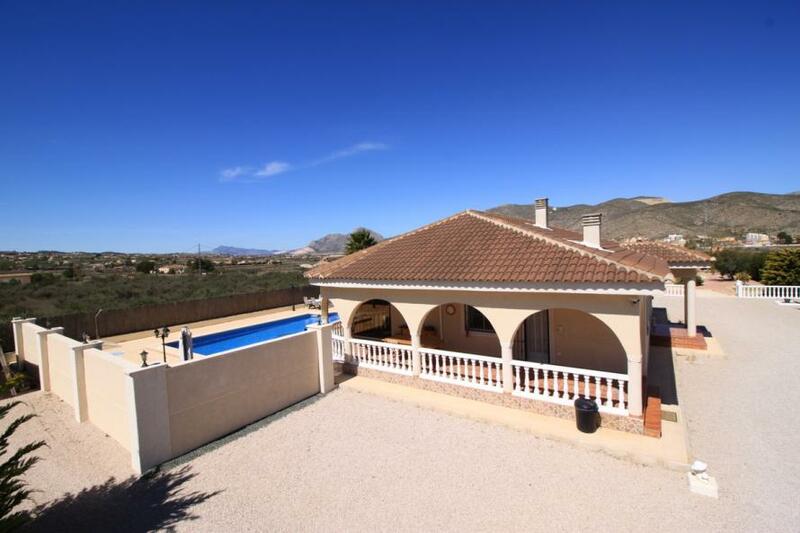 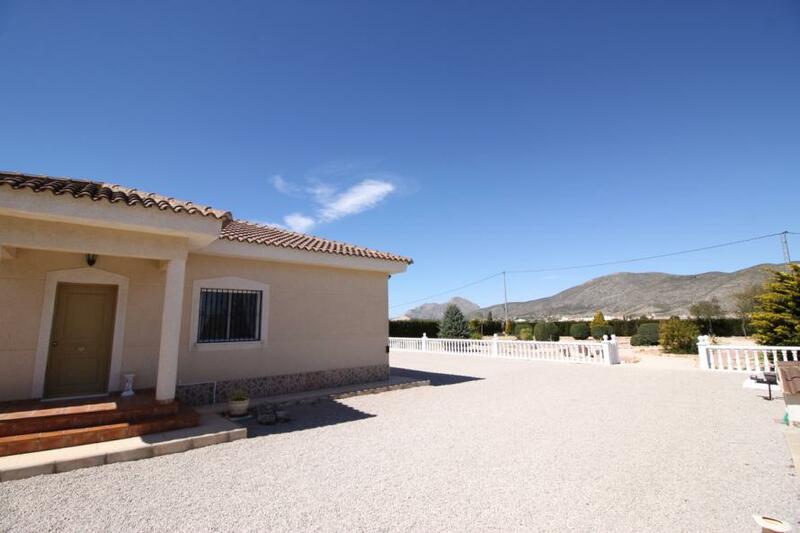 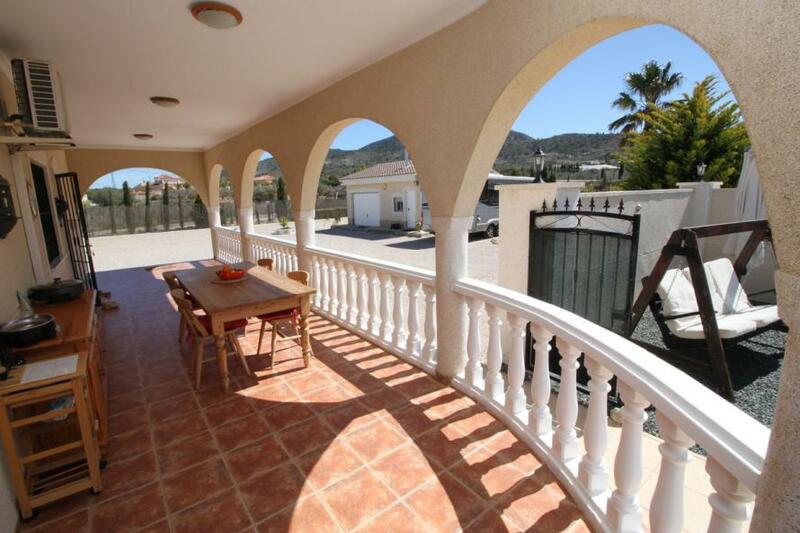 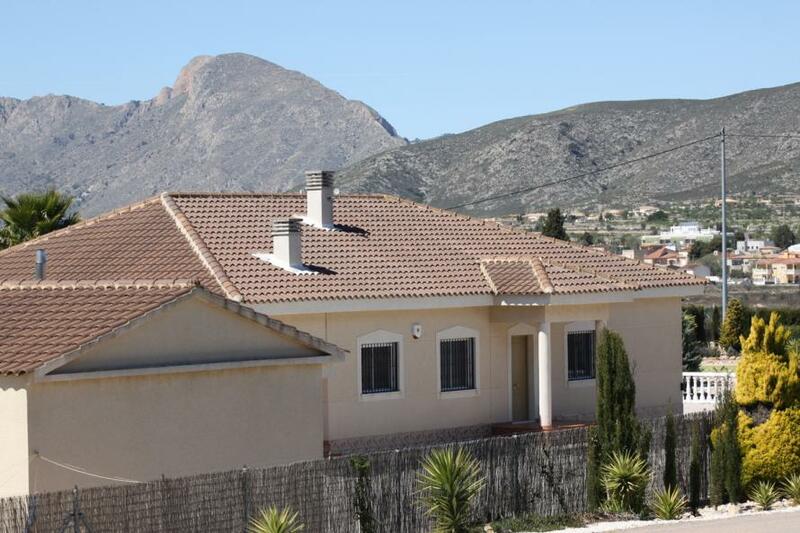 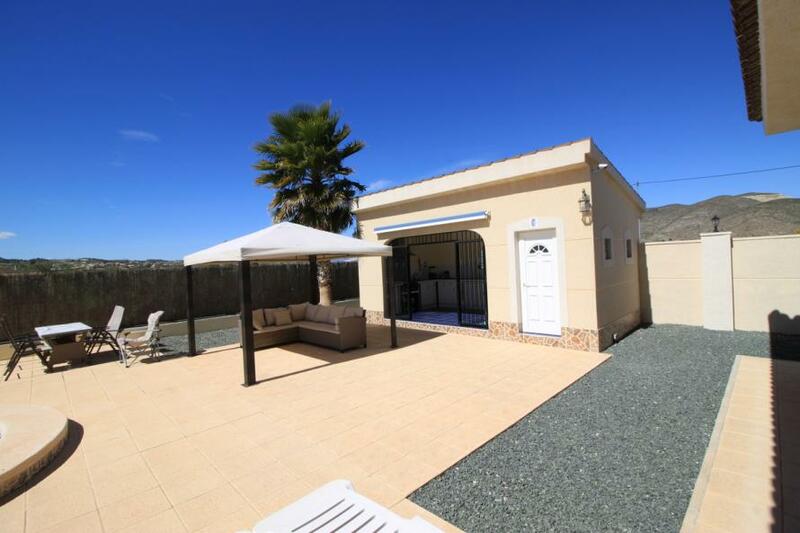 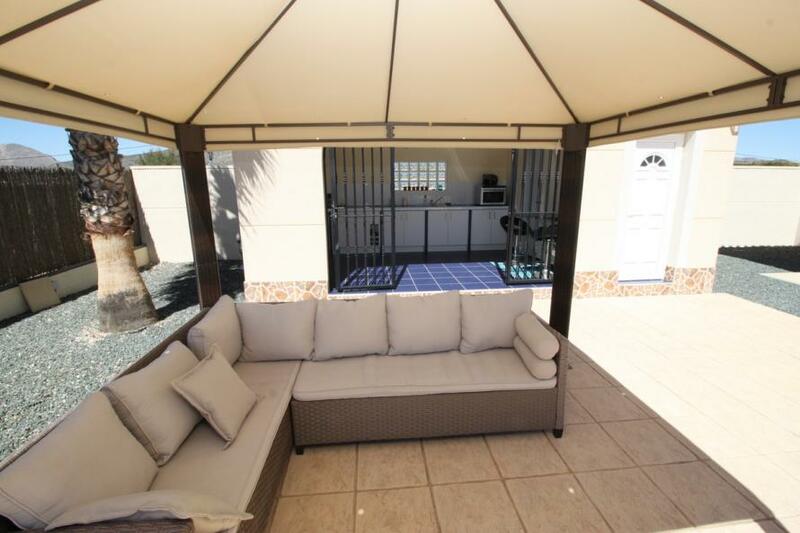 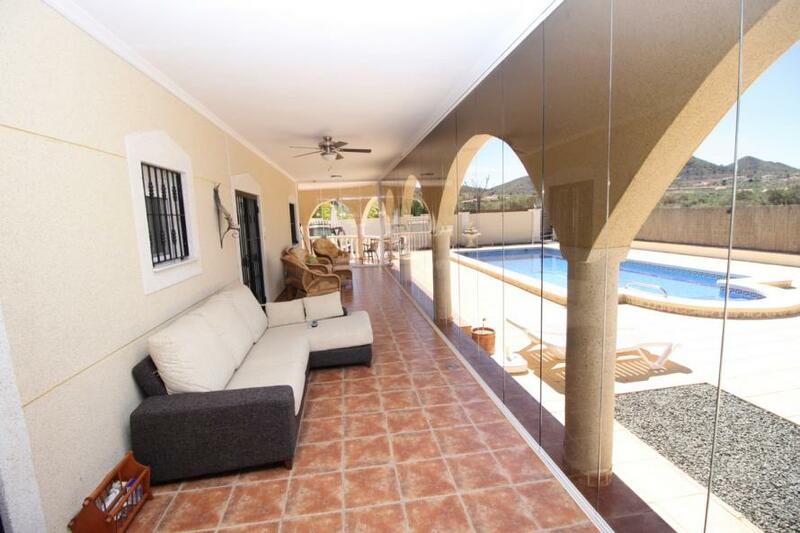 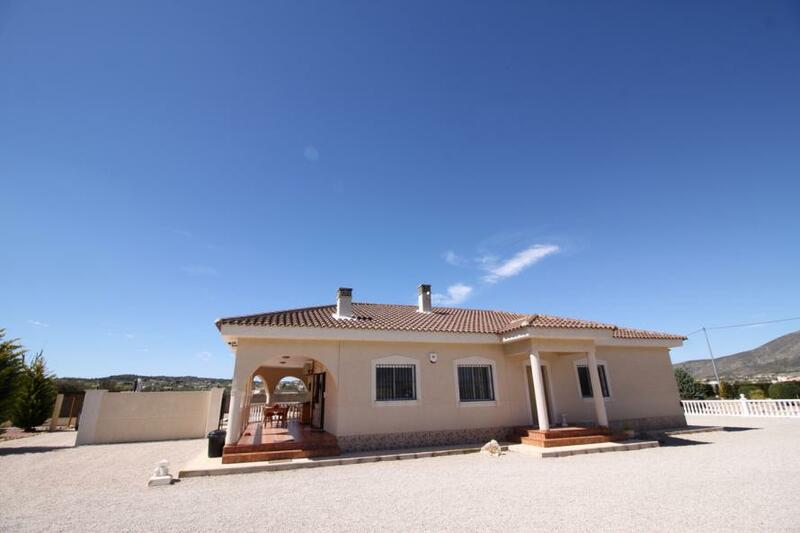 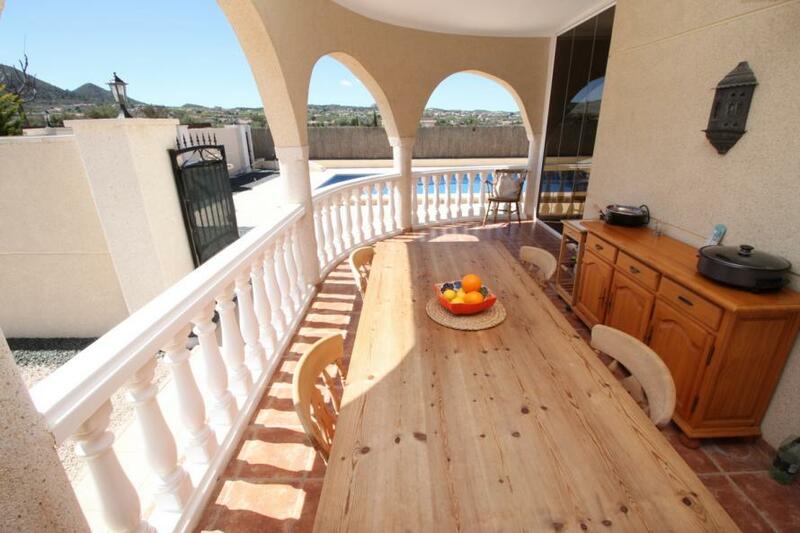 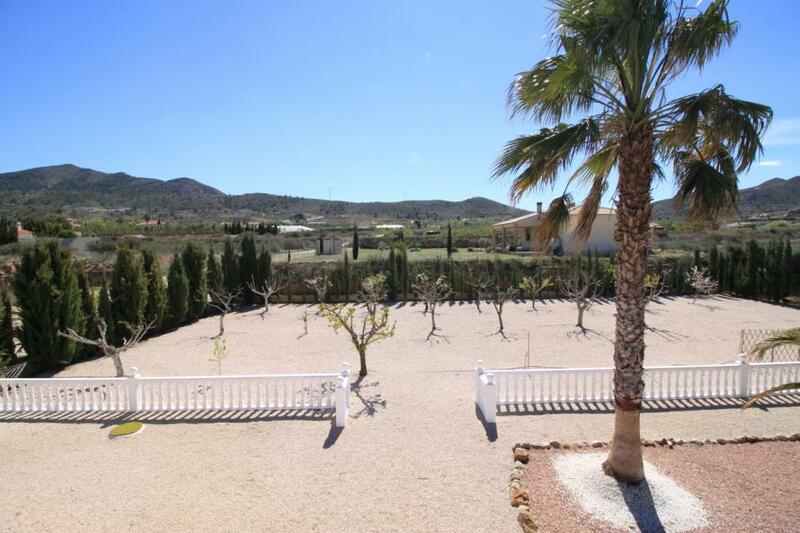 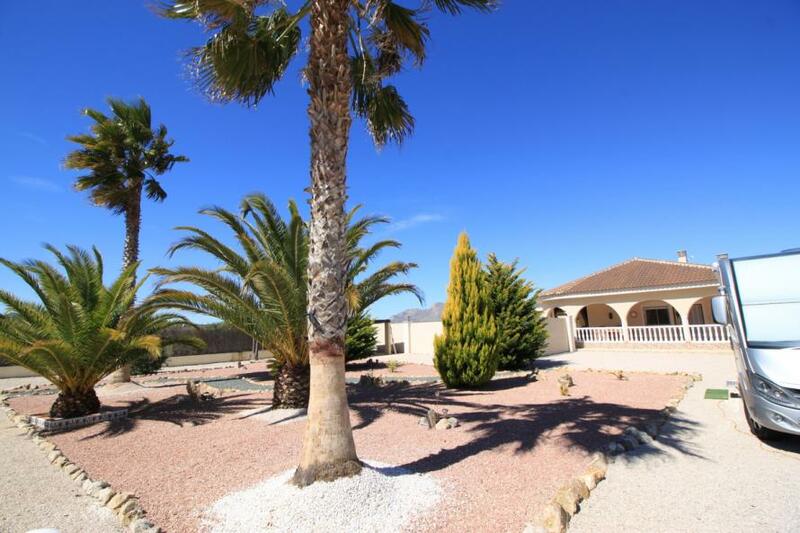 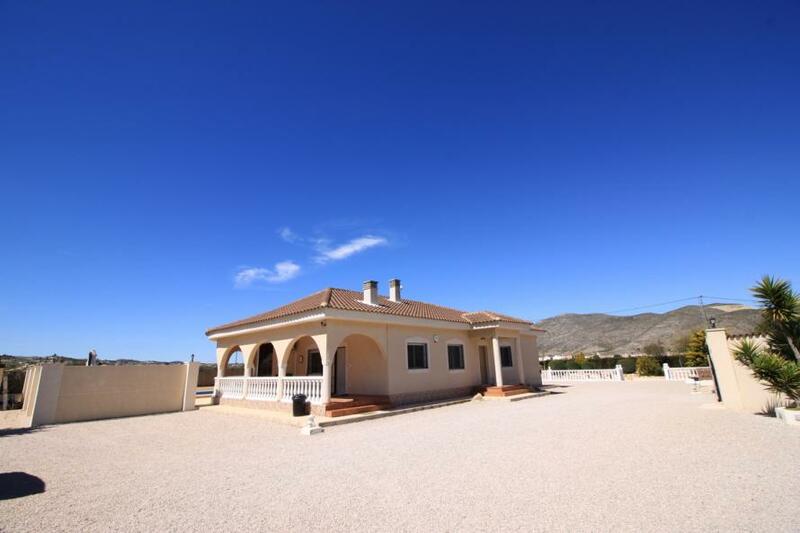 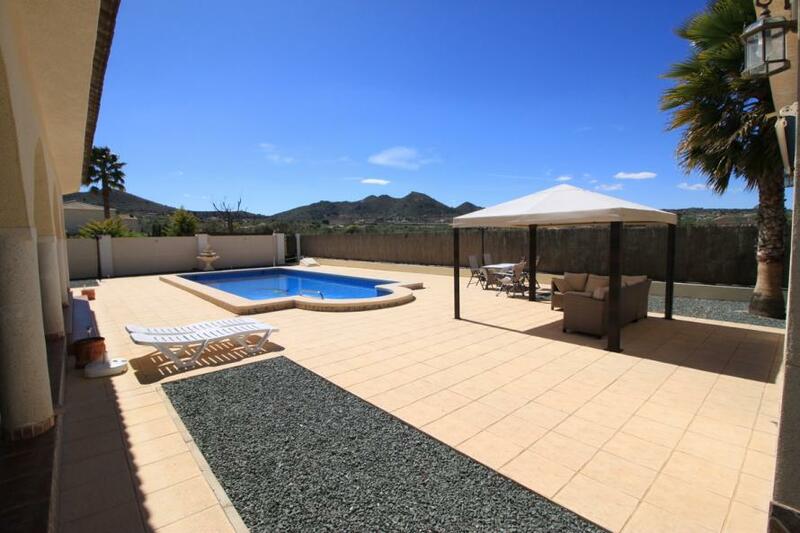 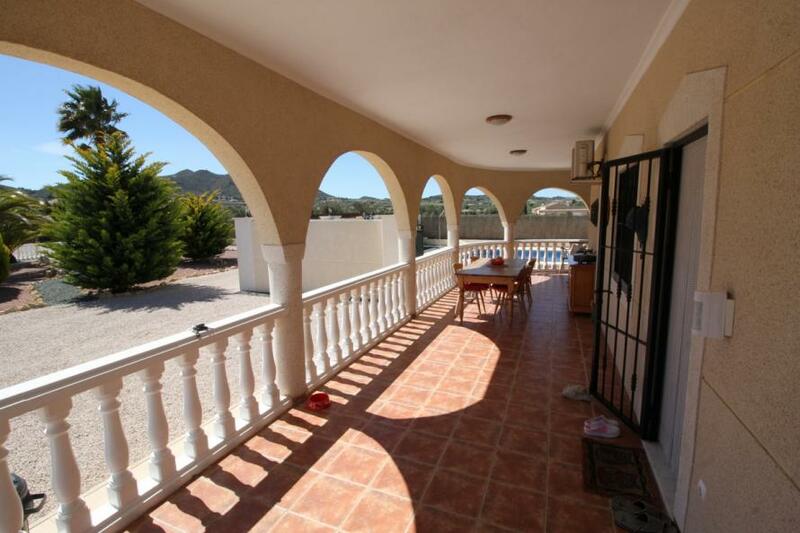 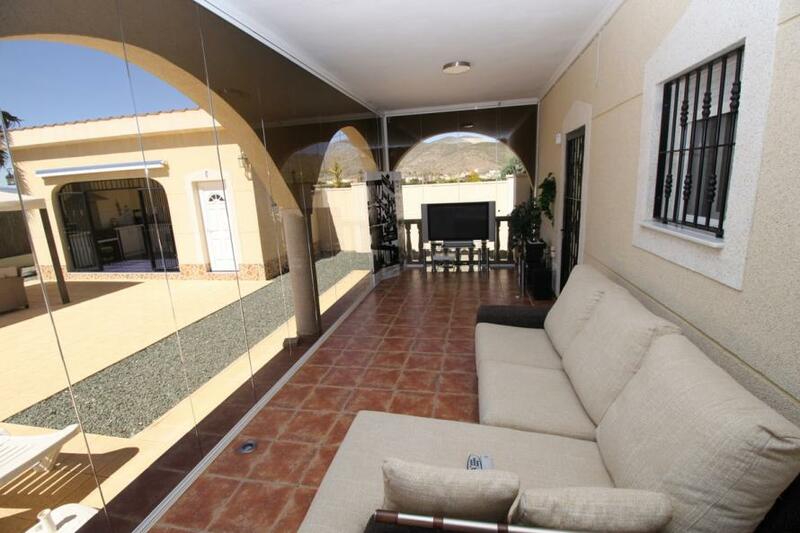 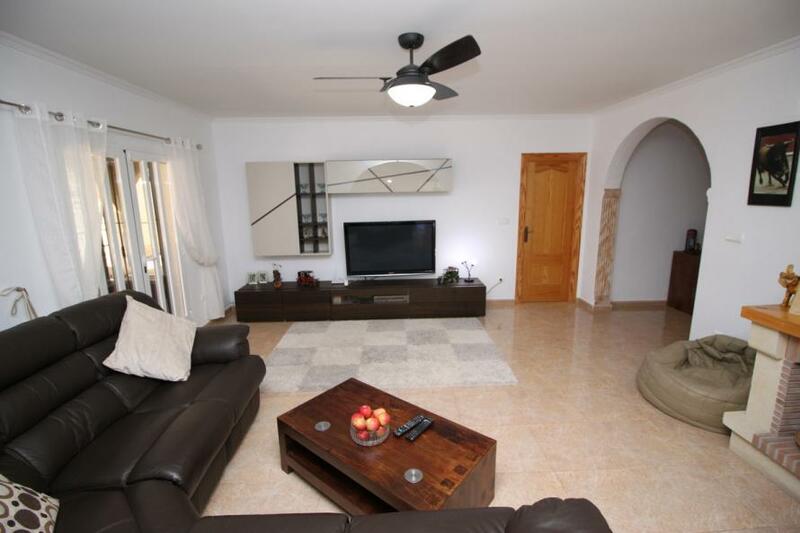 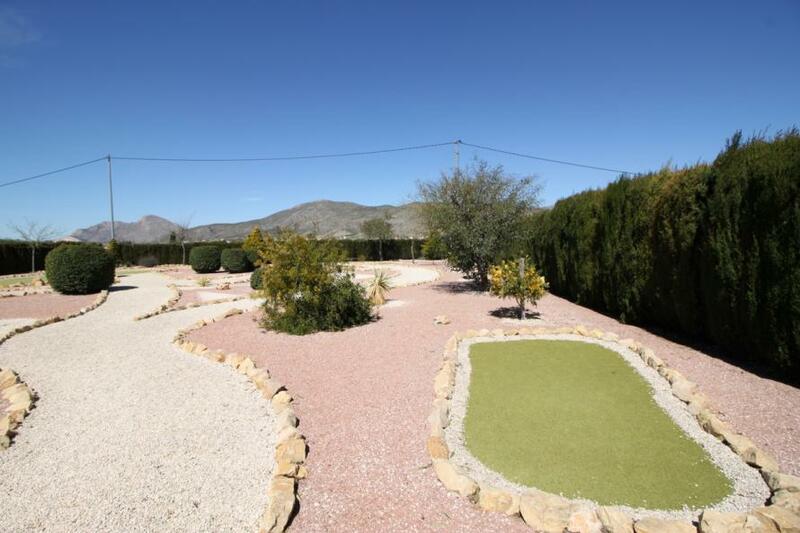 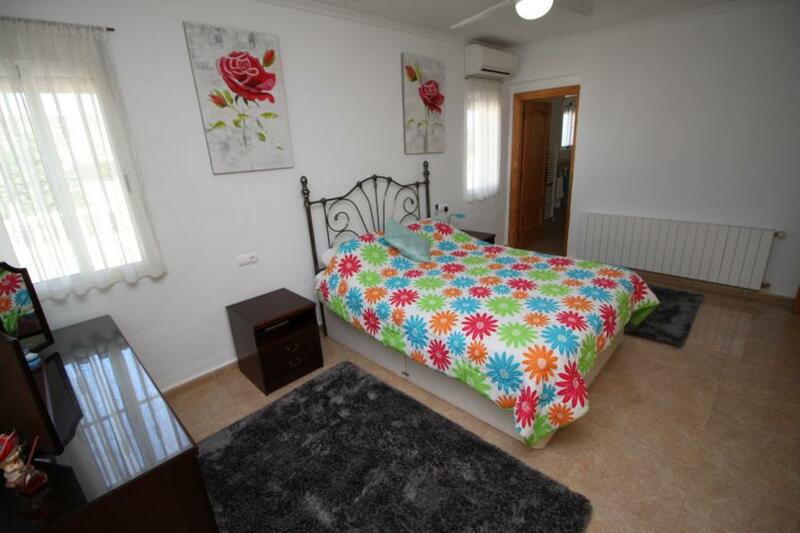 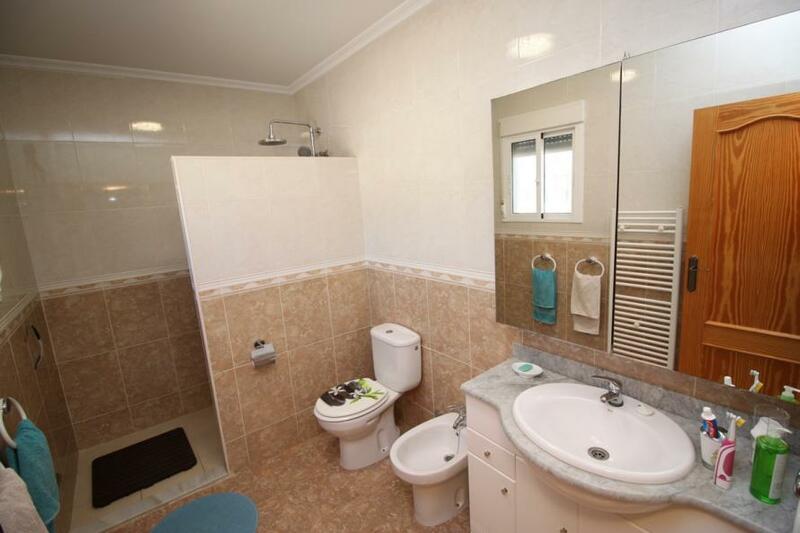 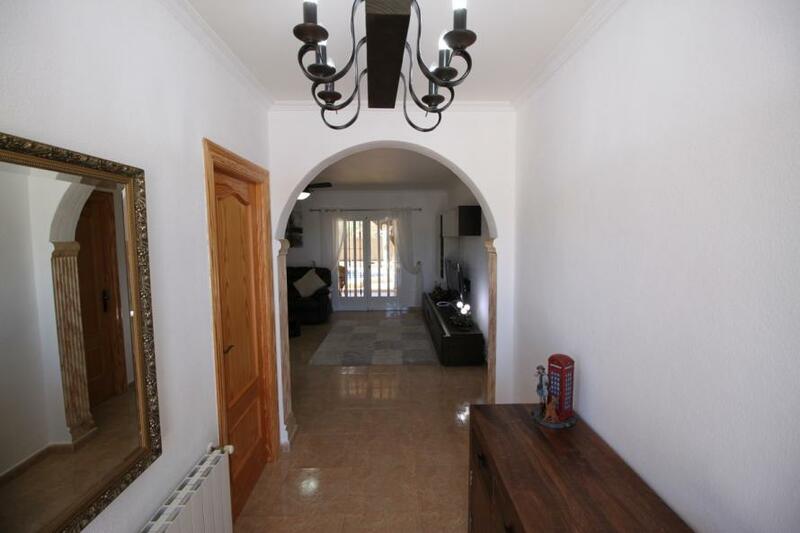 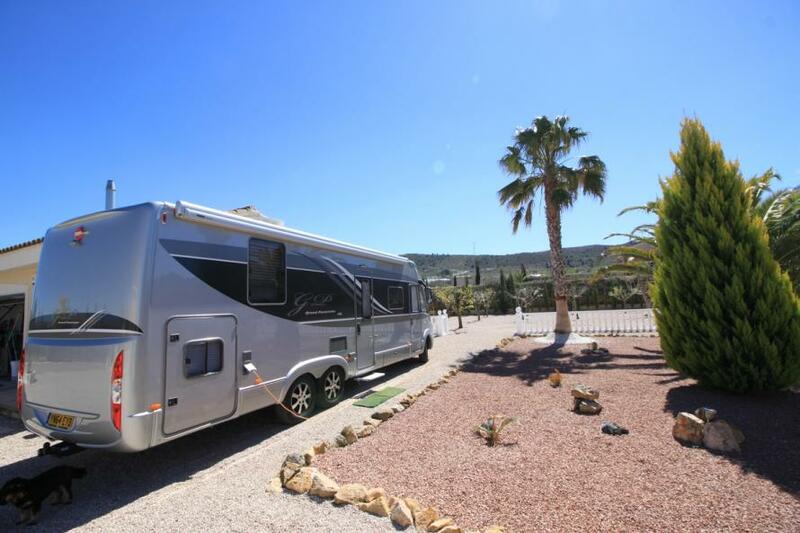 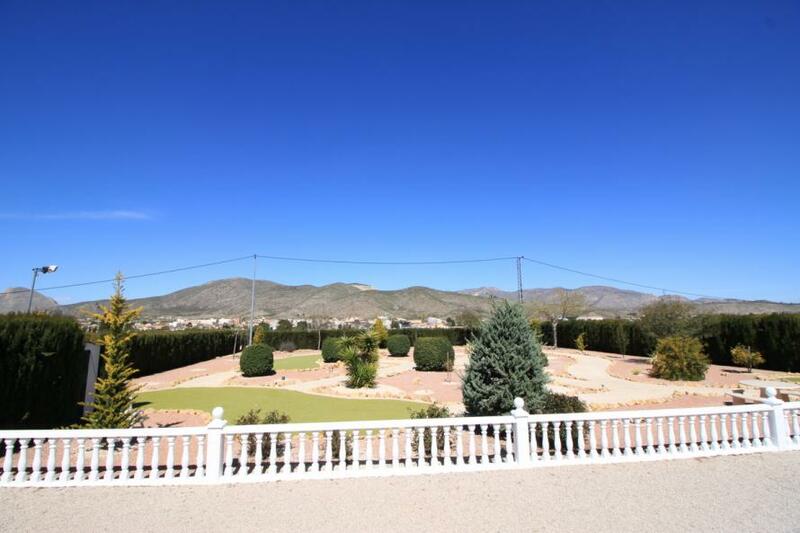 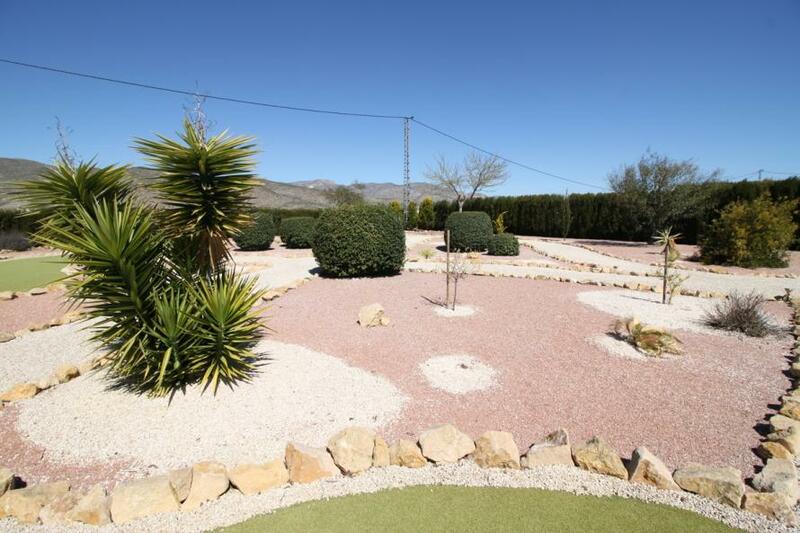 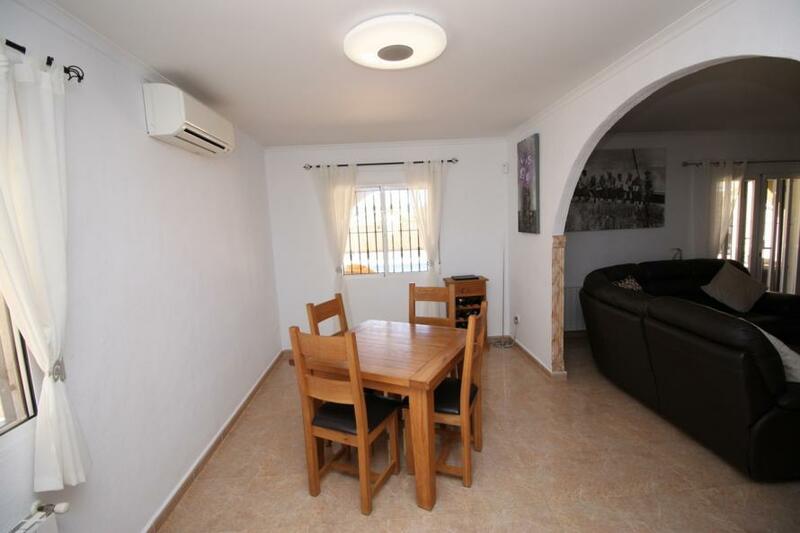 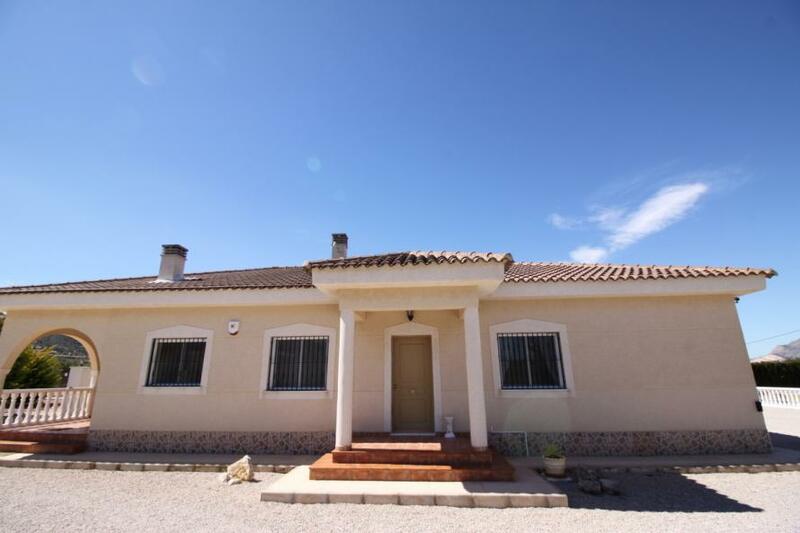 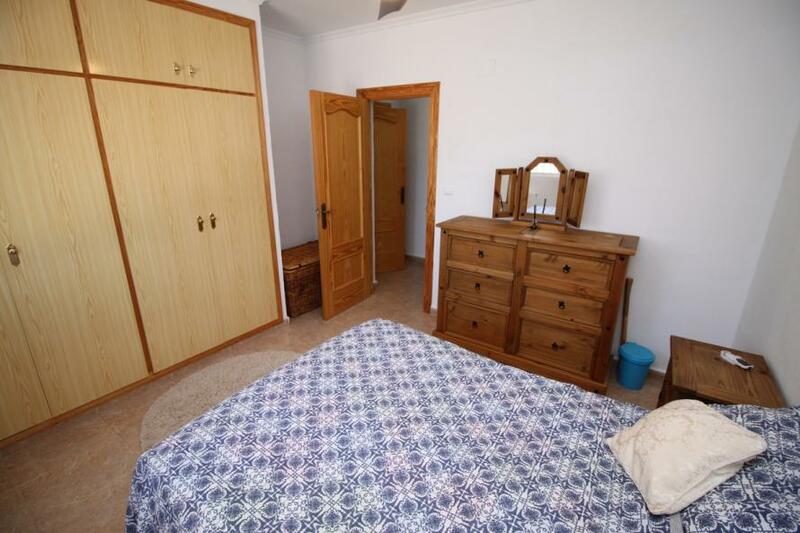 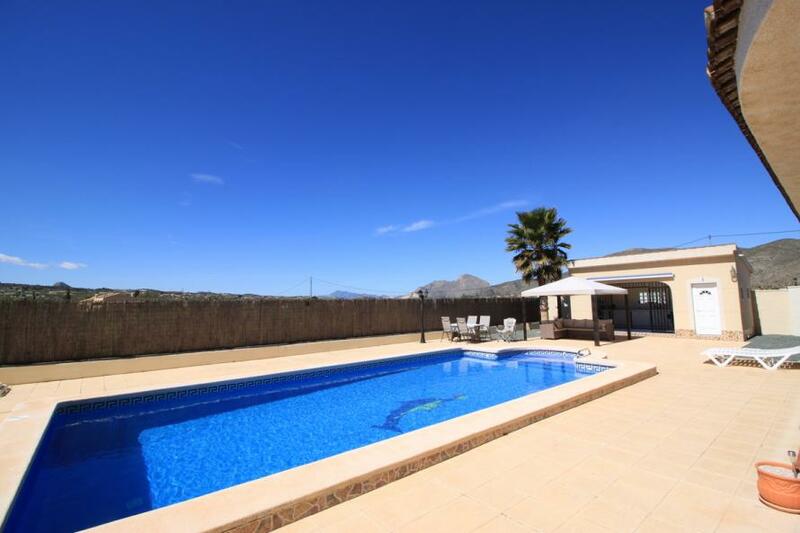 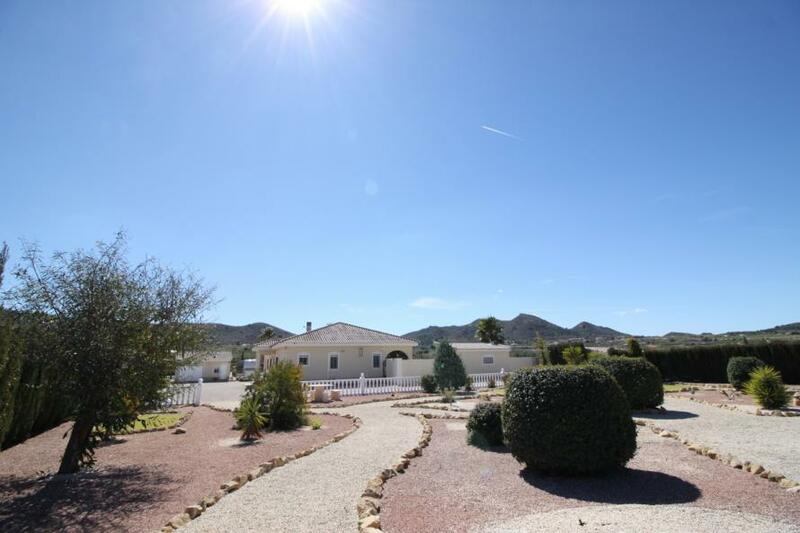 35mins drive to Alicante Airport, City and Beaches.